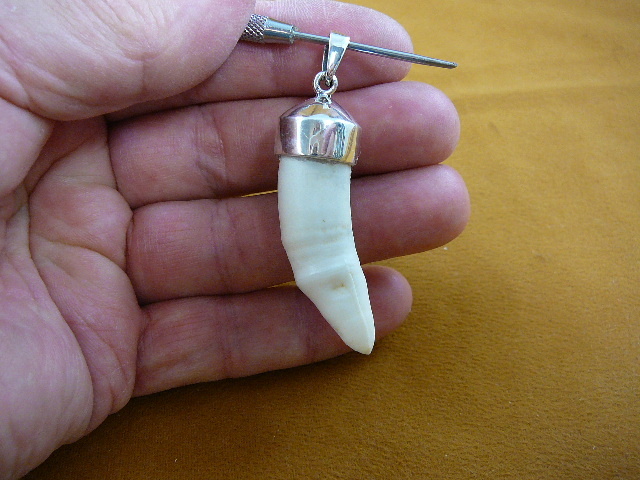 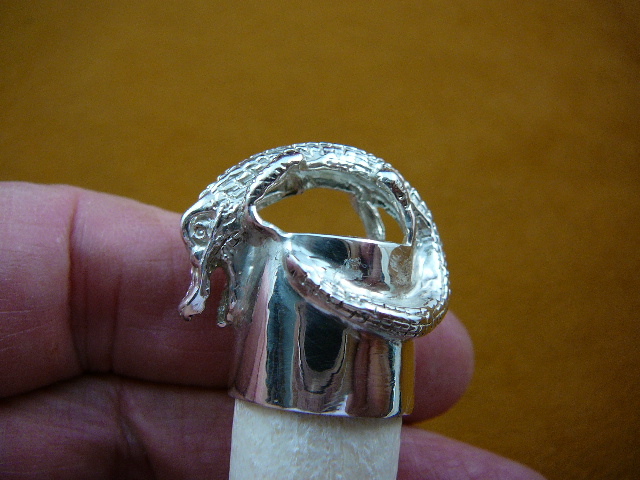 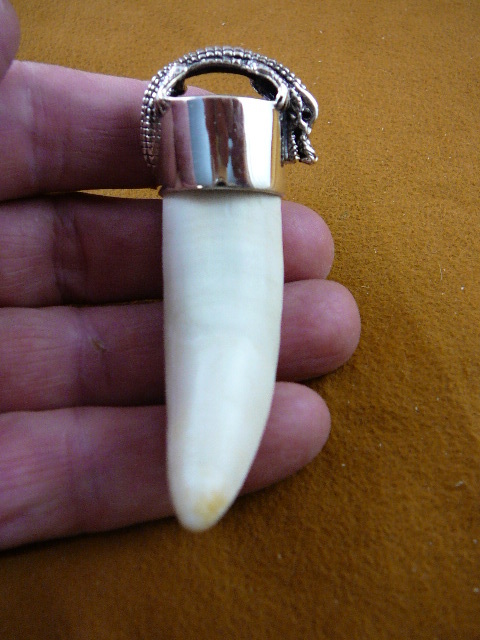 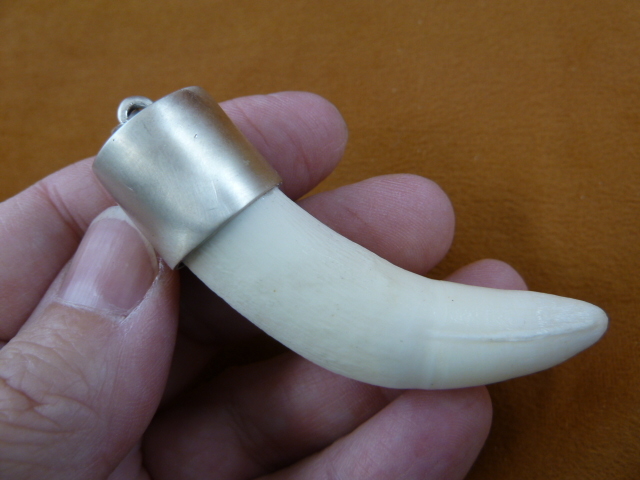 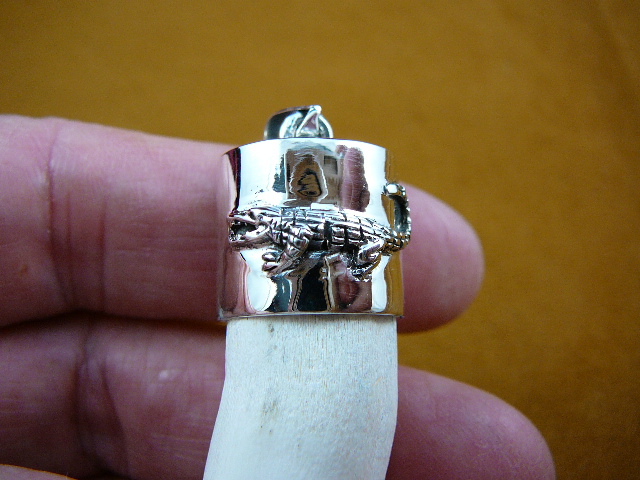 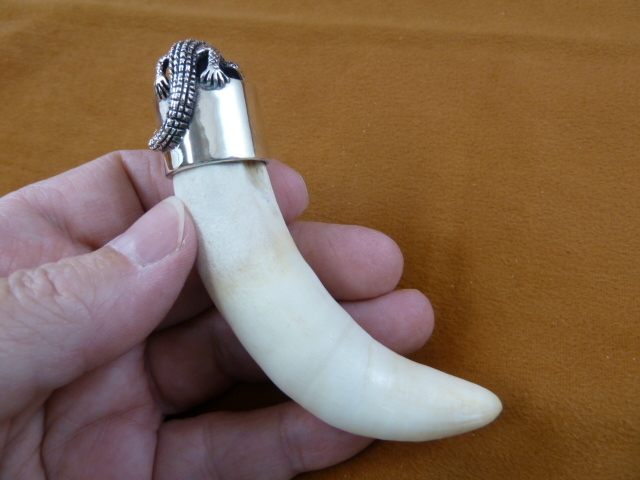 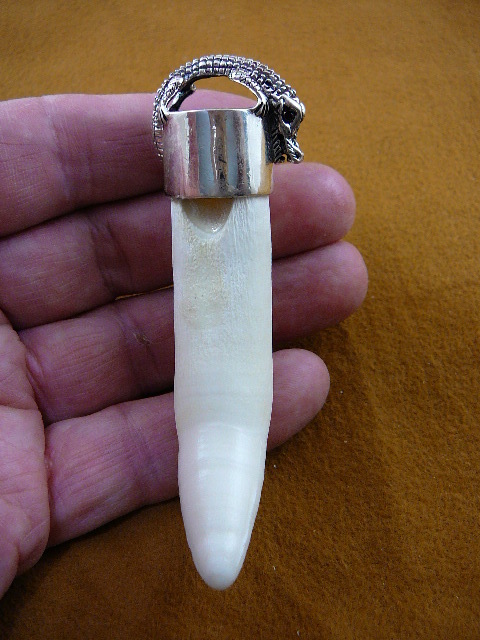 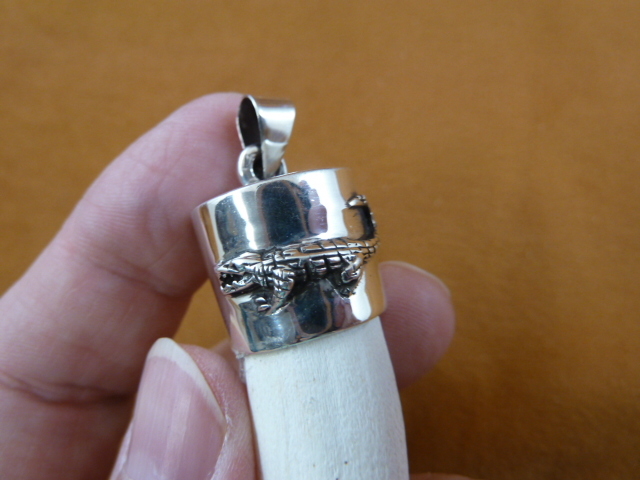 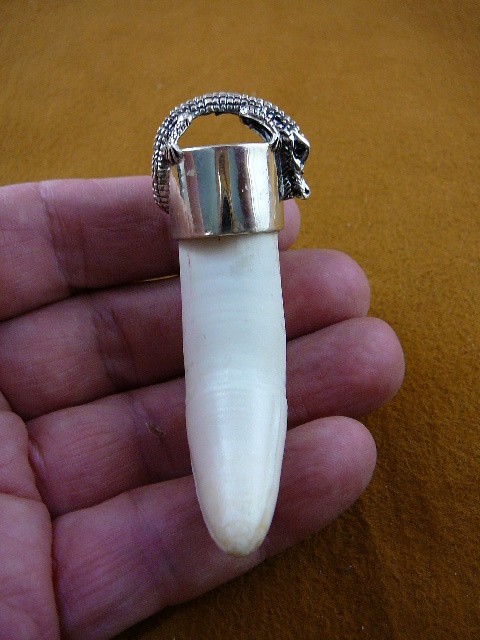 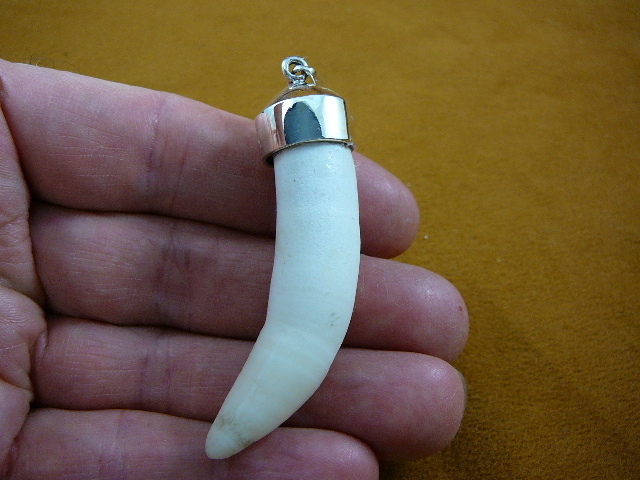 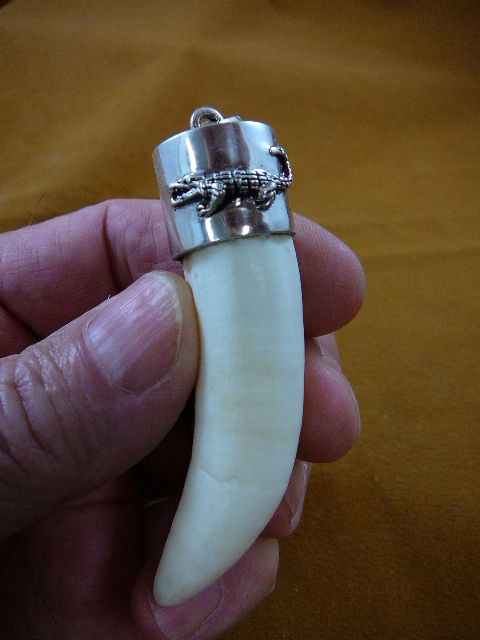 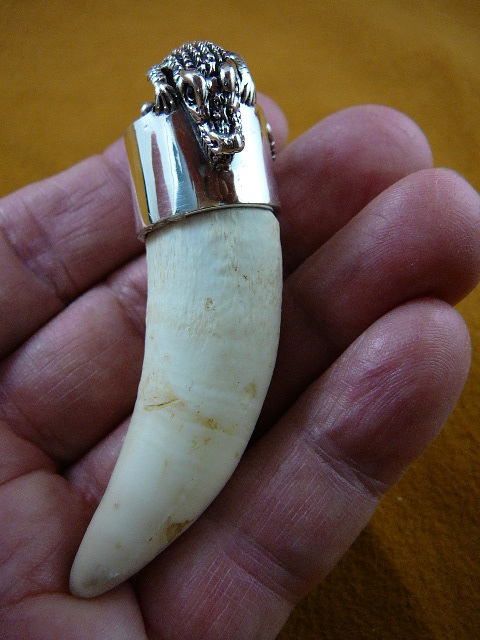 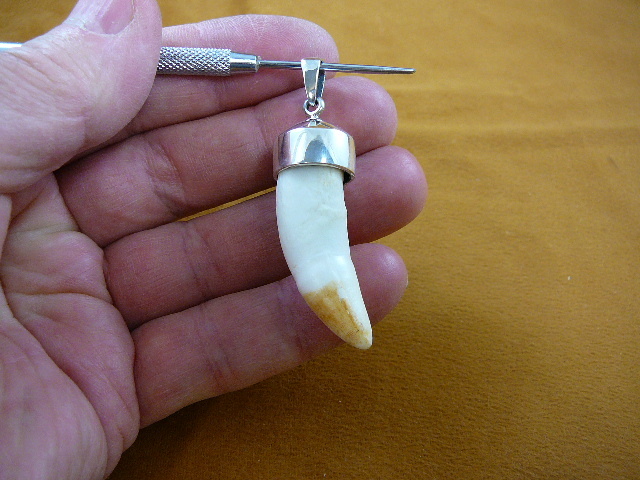 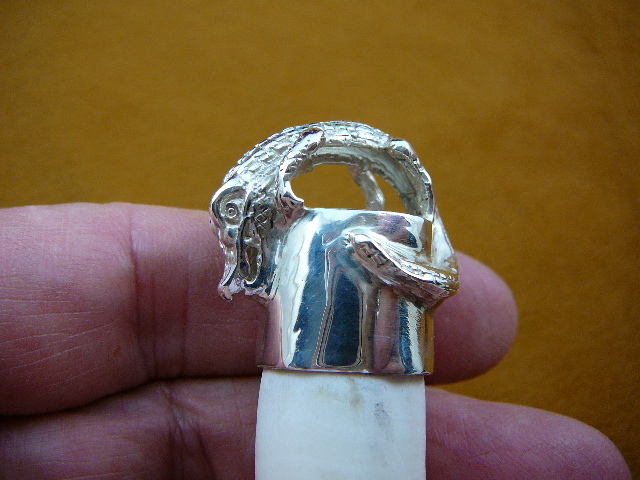 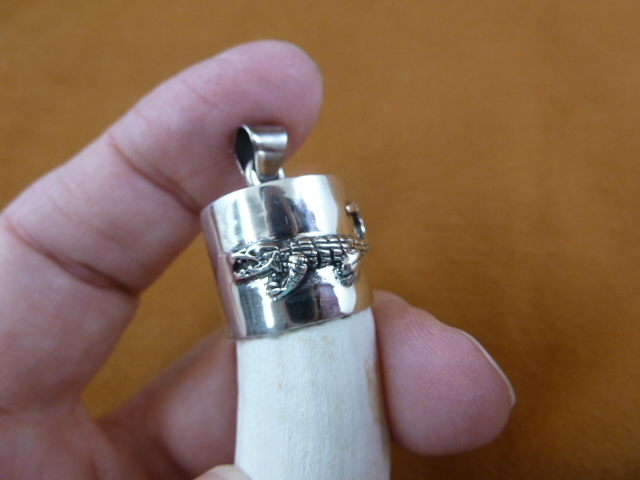 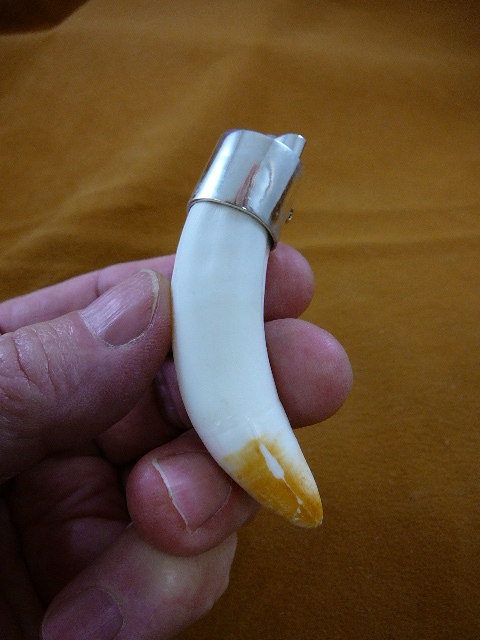 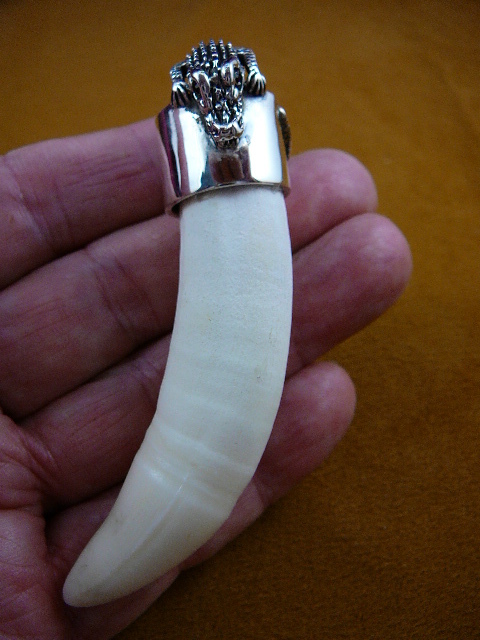 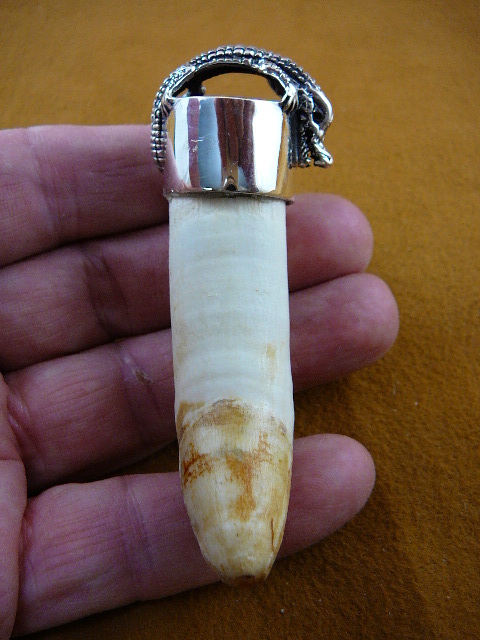 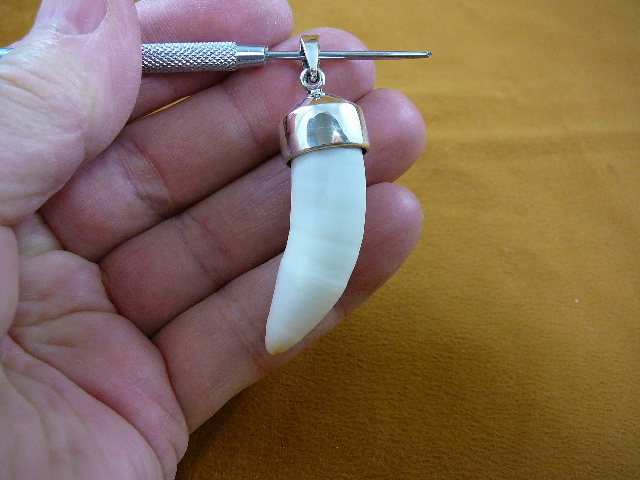 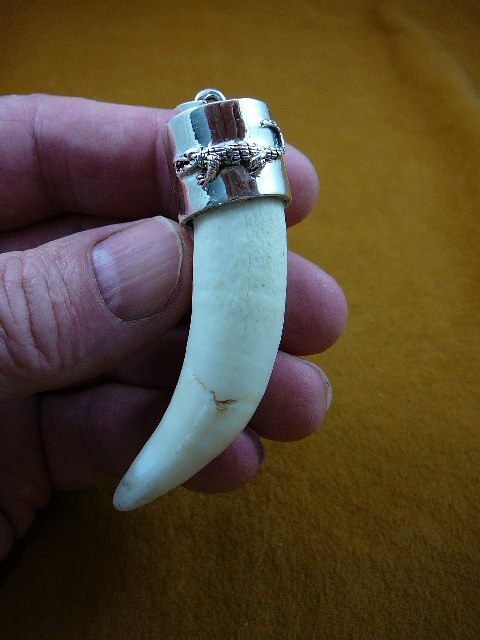 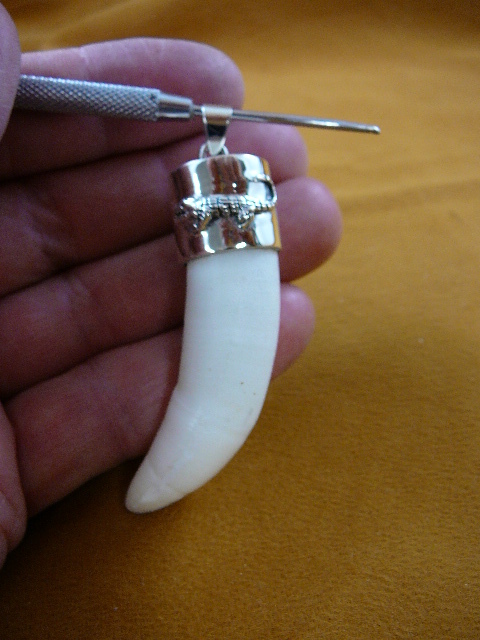 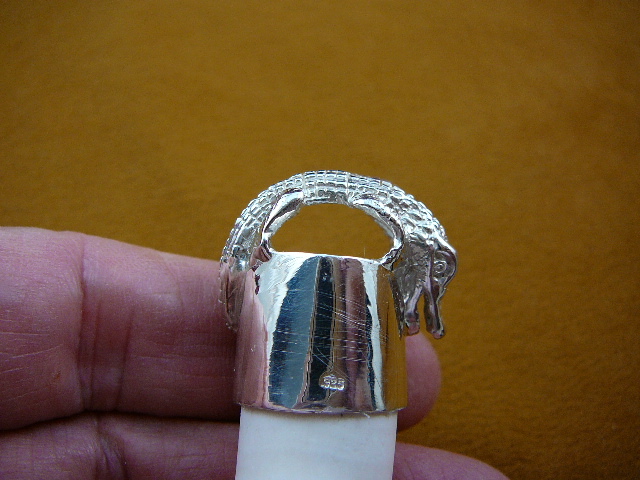 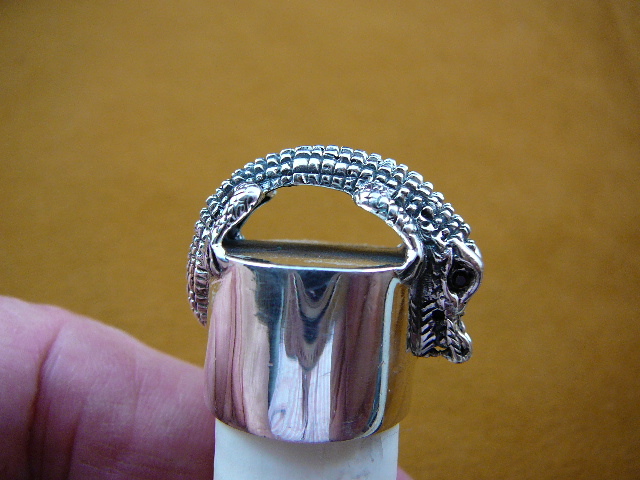 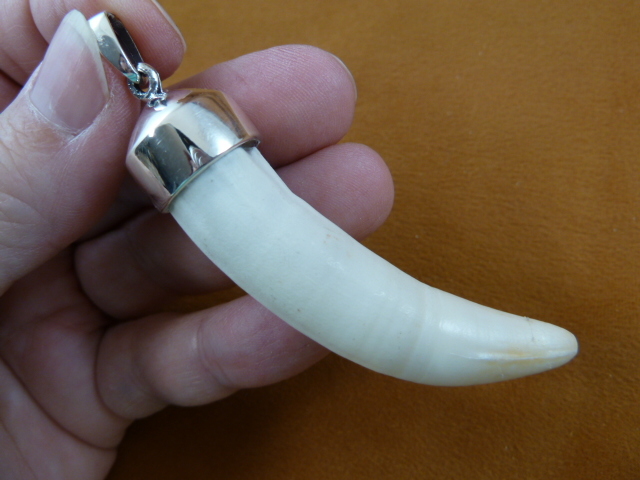 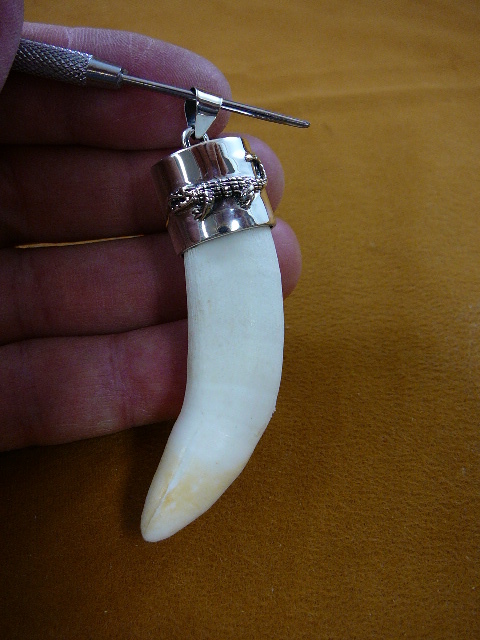 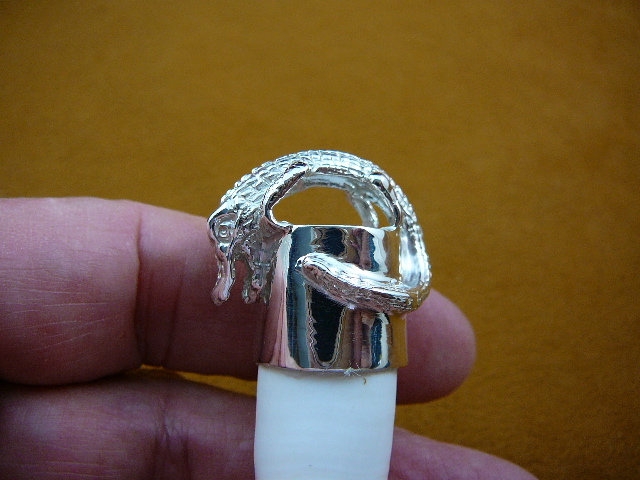 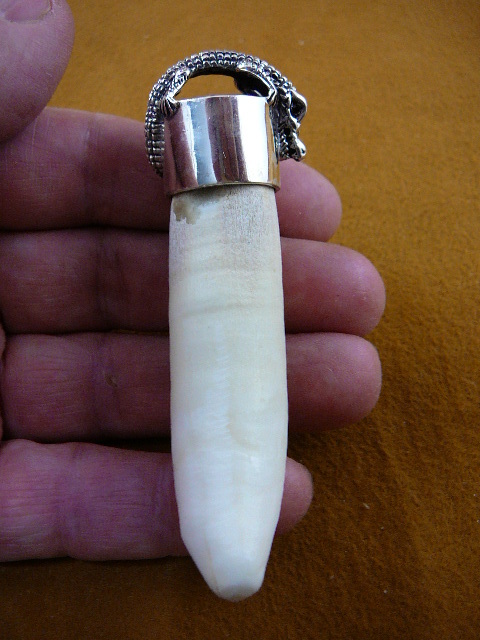 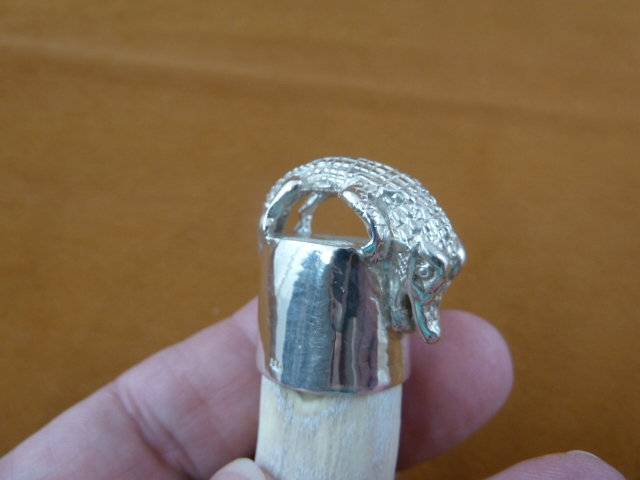 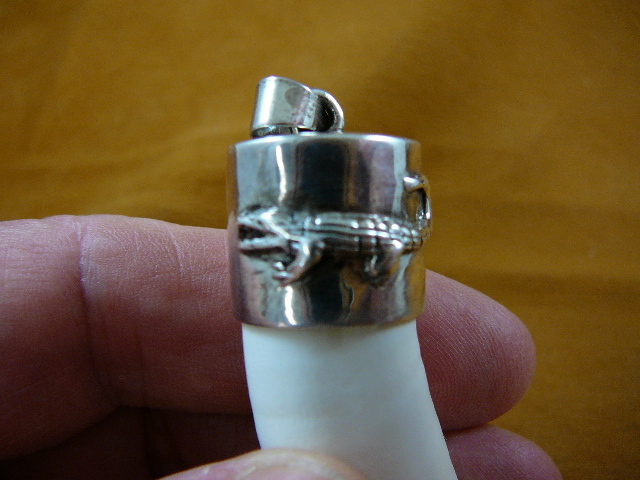 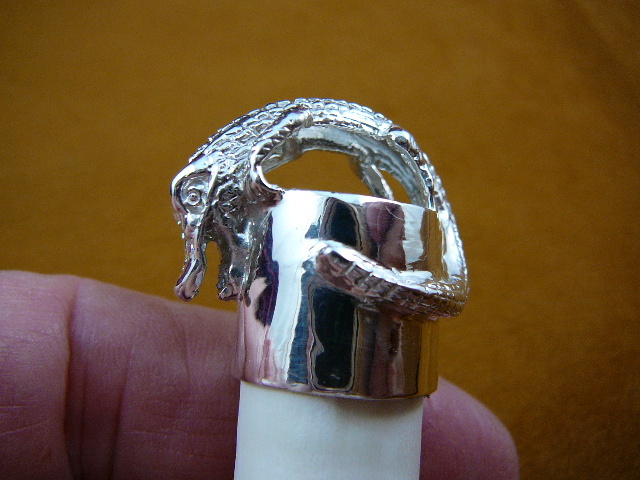 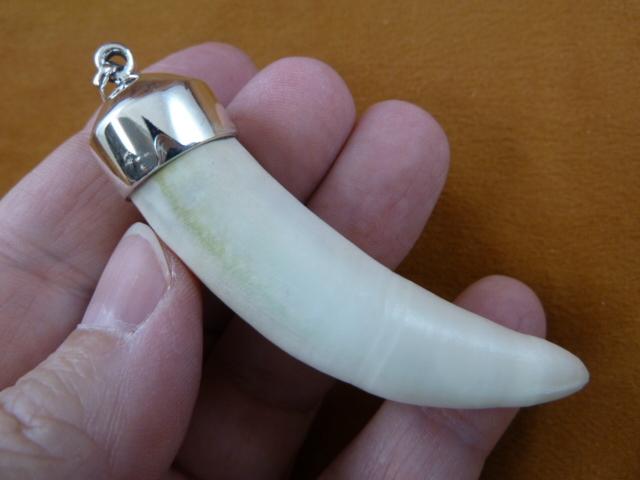 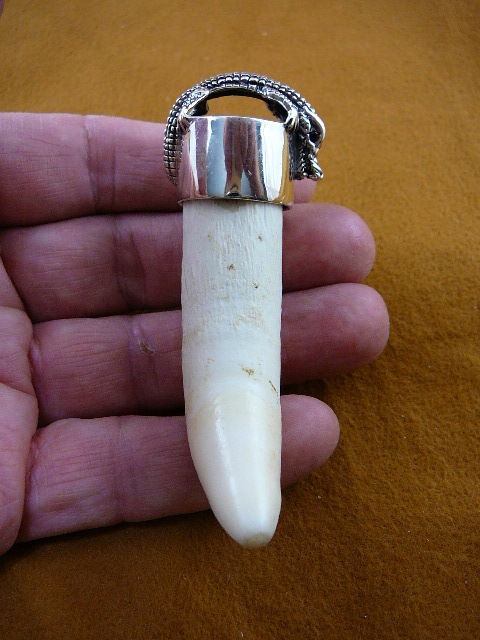 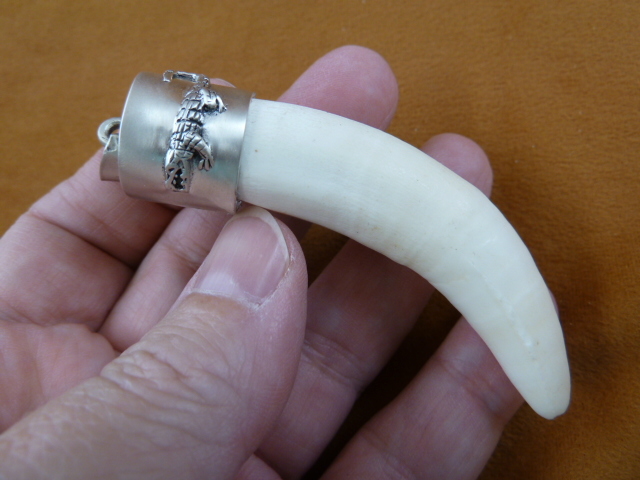 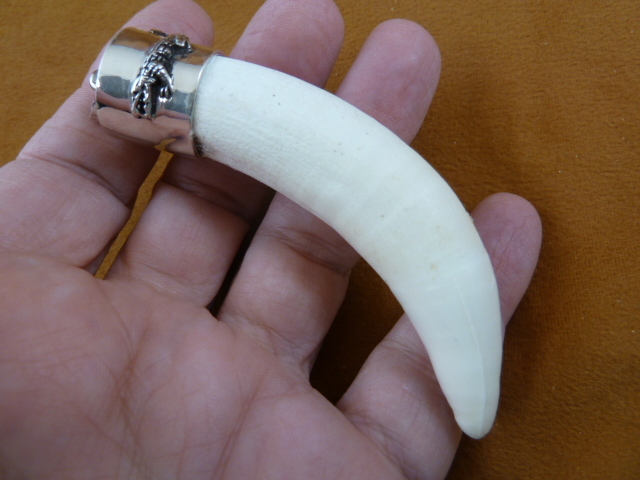 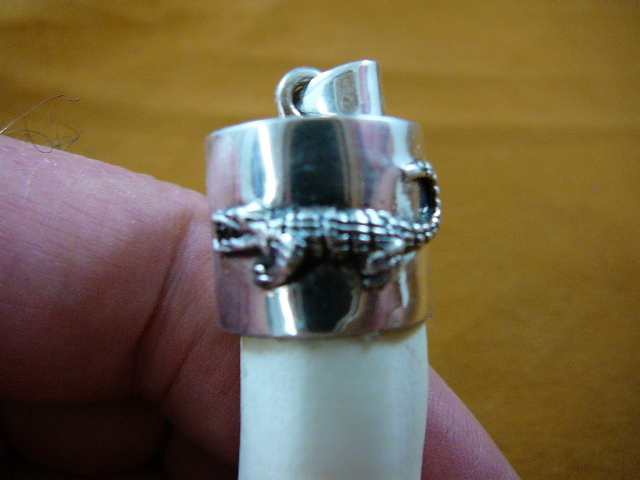 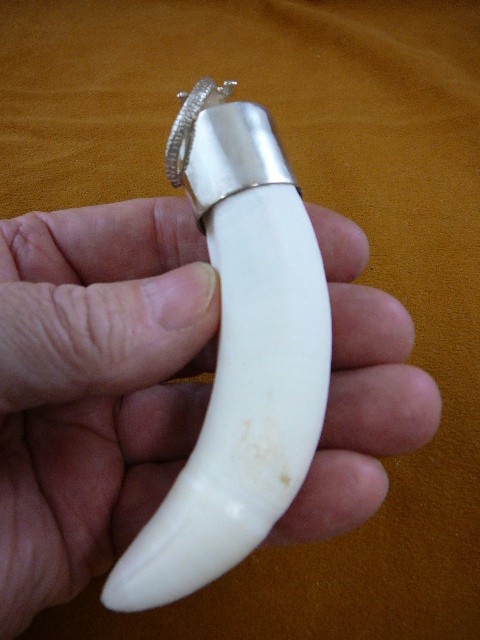 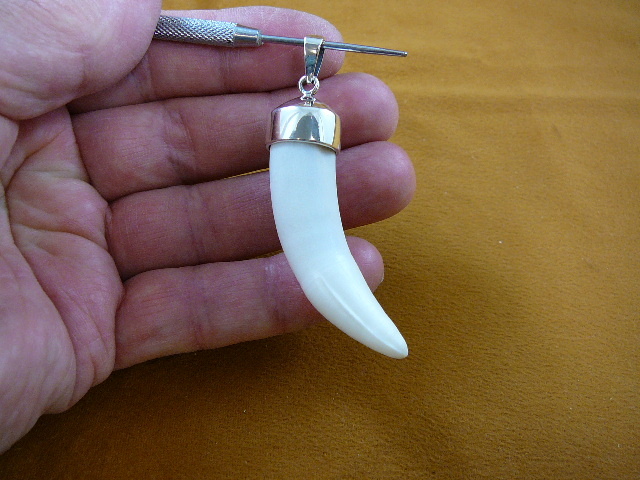 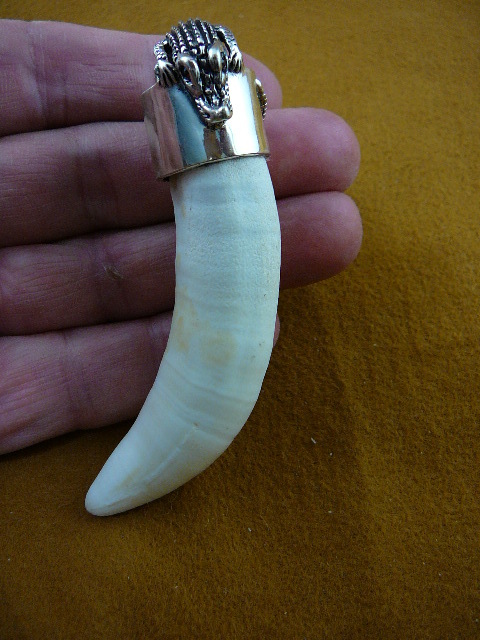 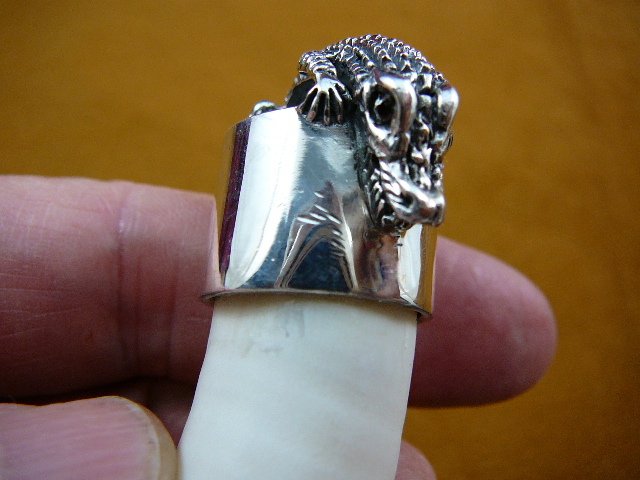 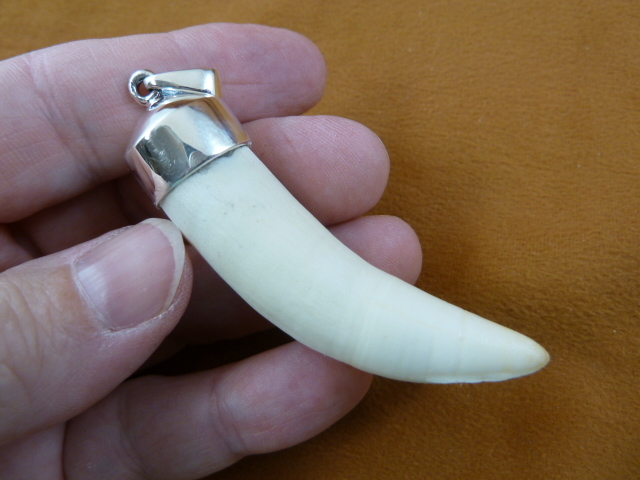 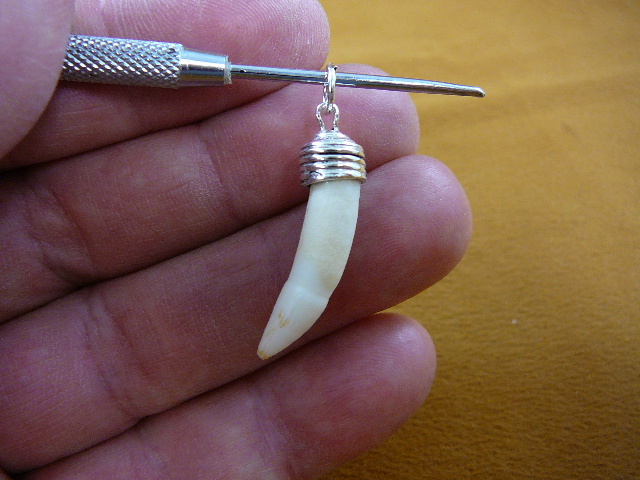 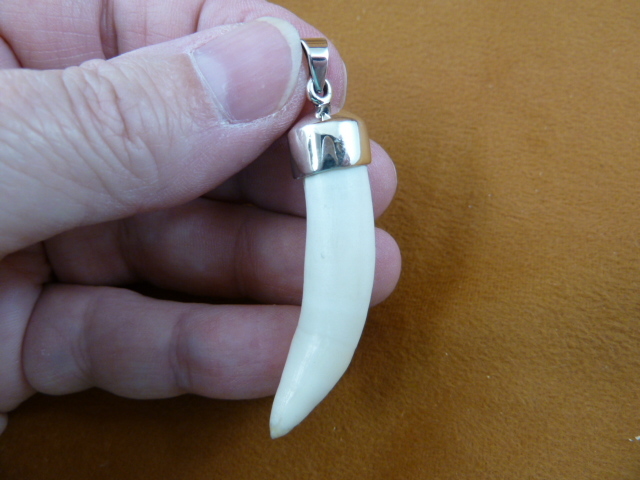 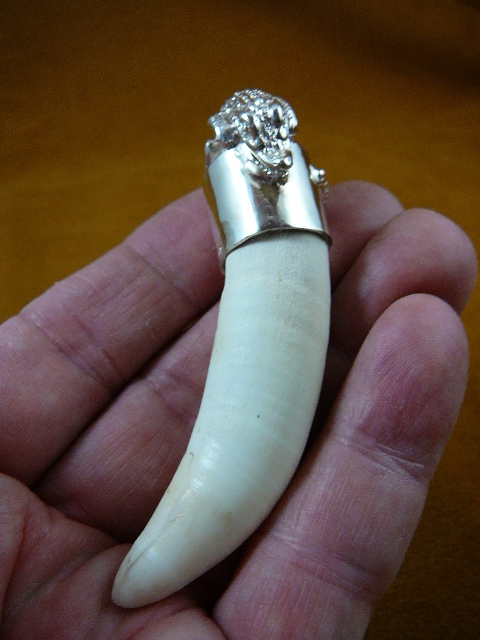 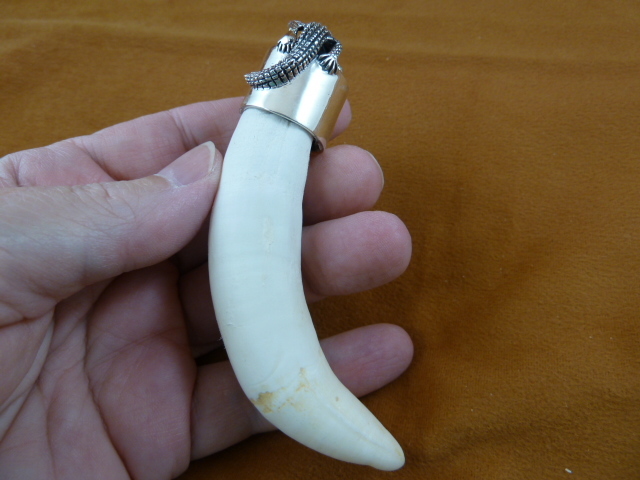 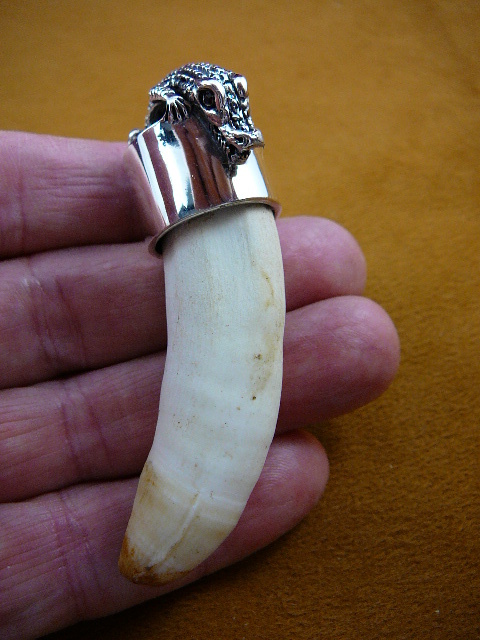 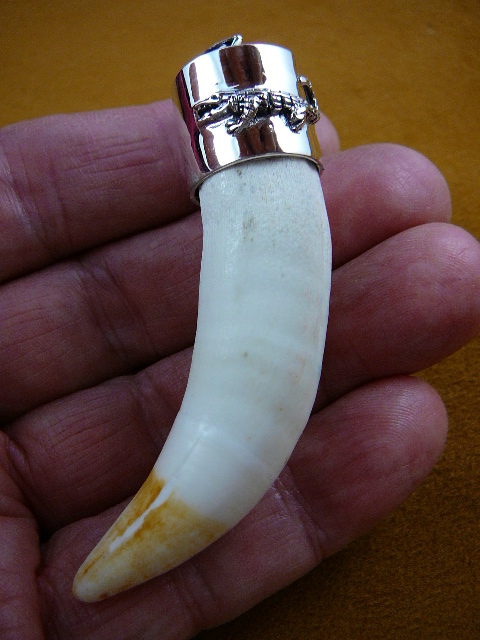 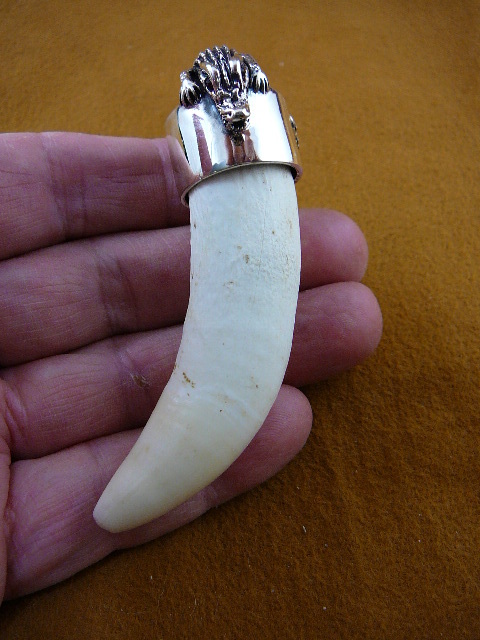 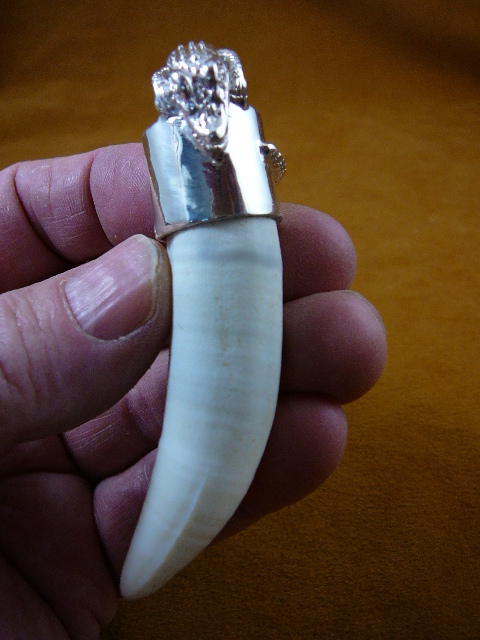 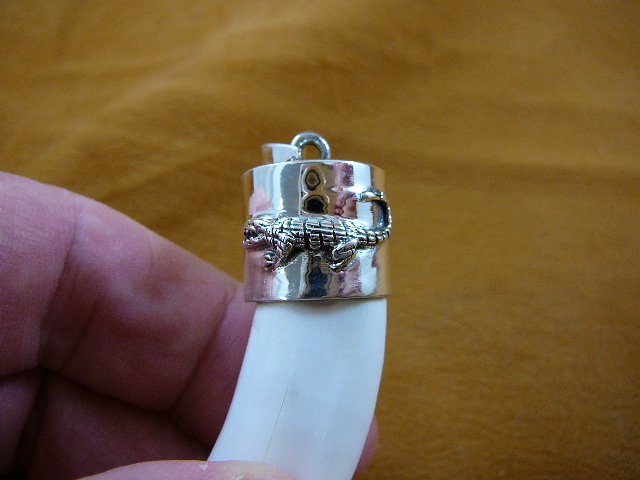 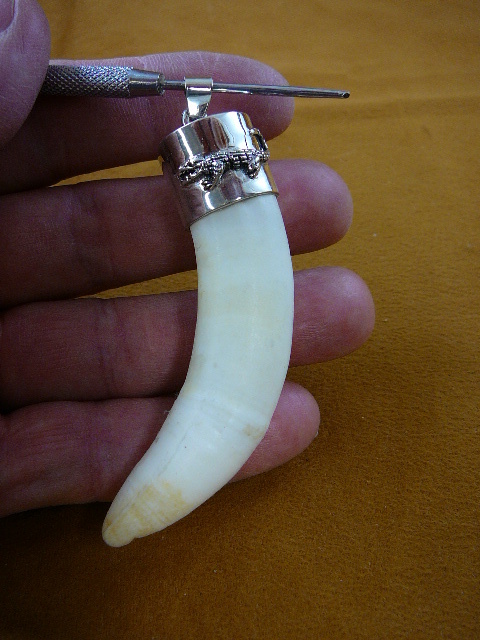 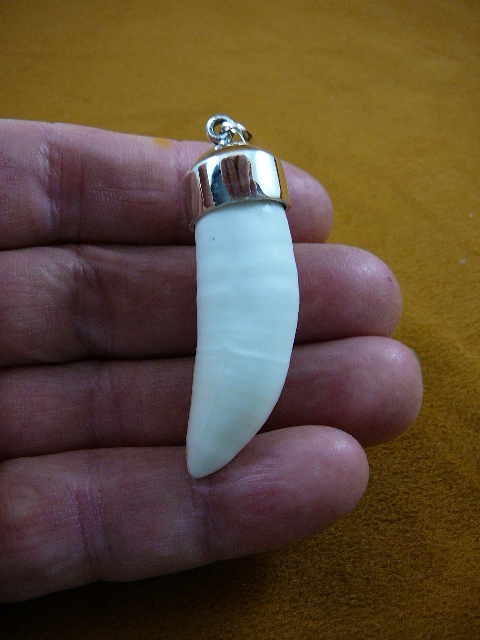 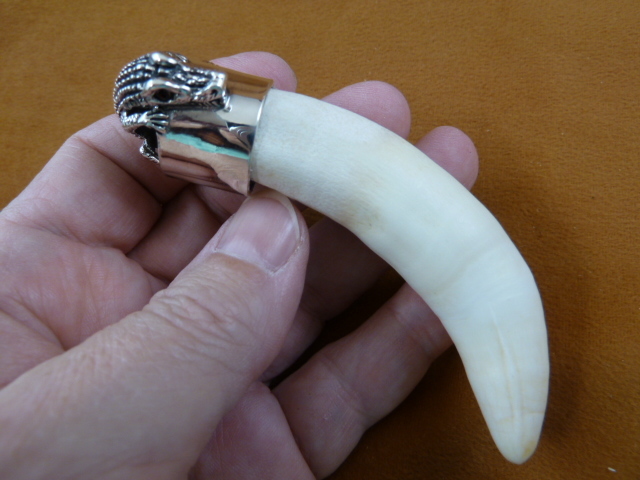 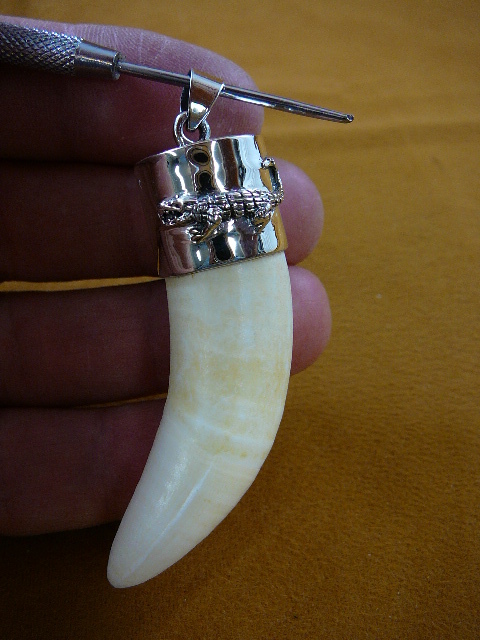 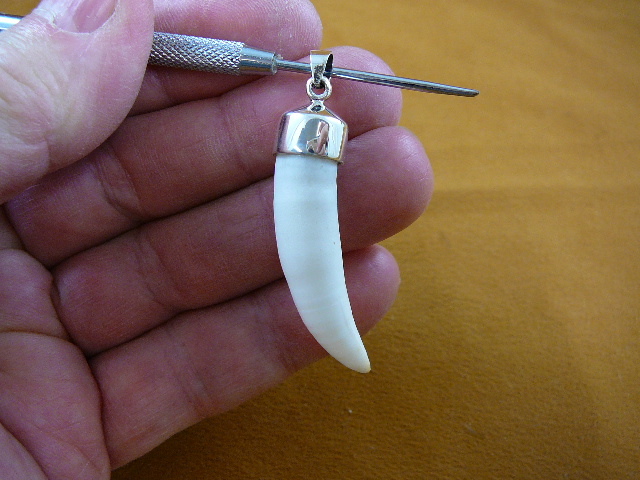 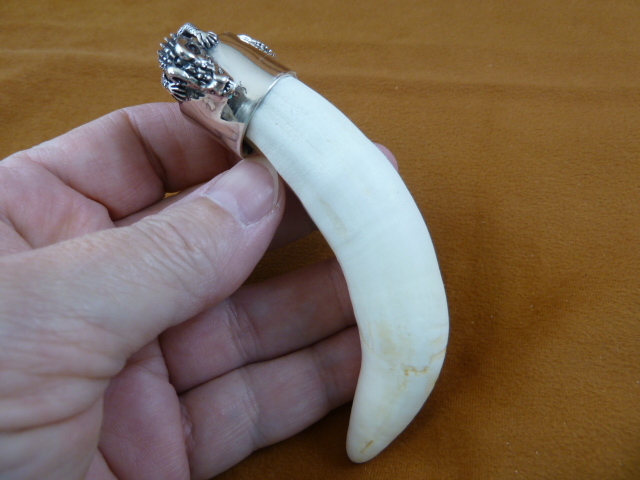 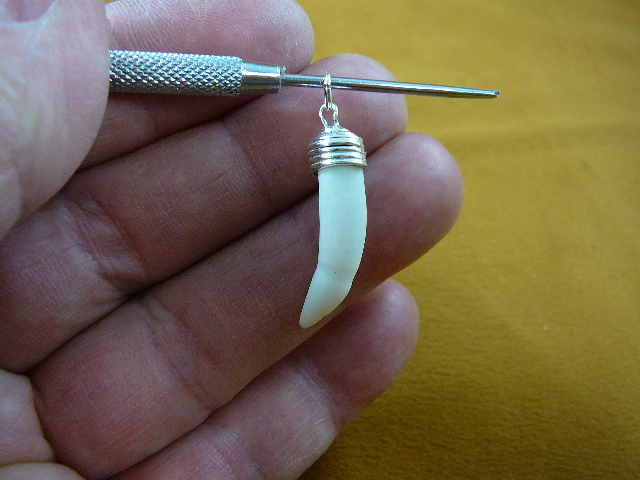 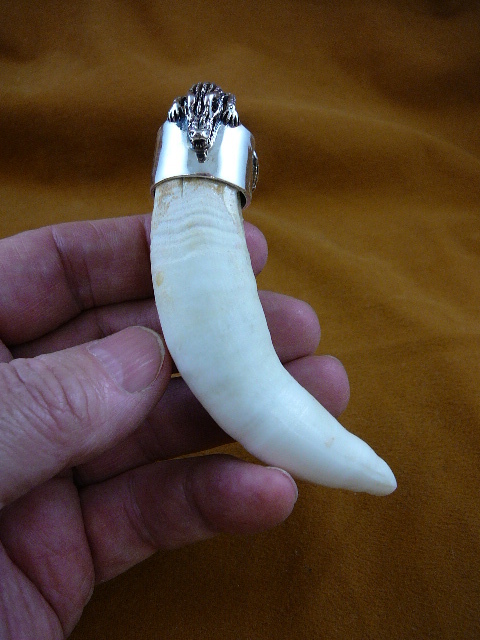 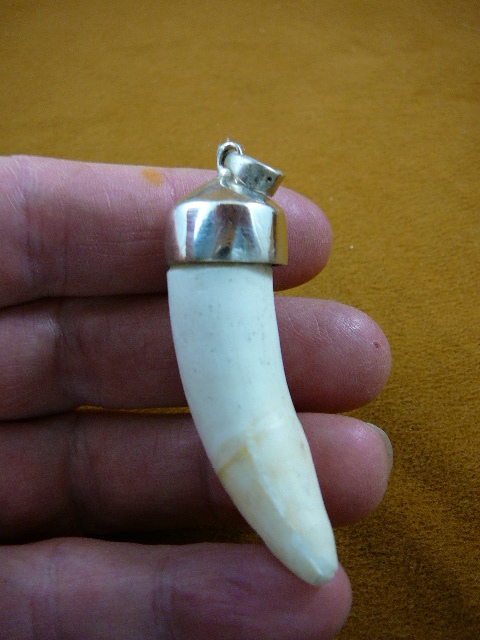 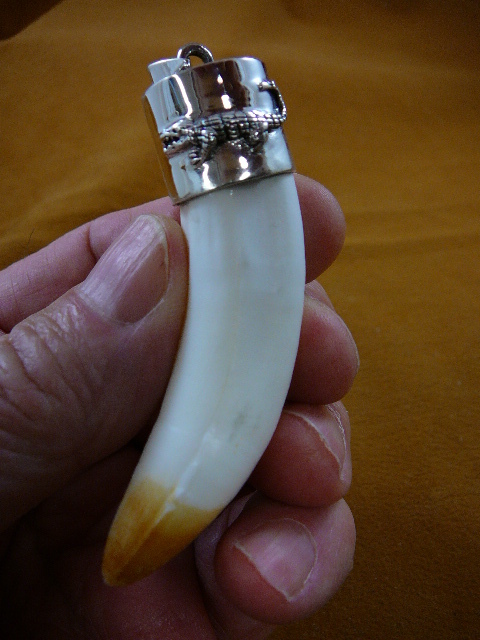 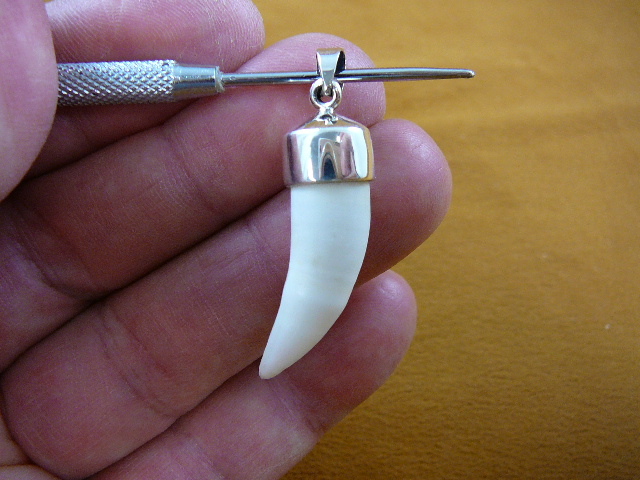 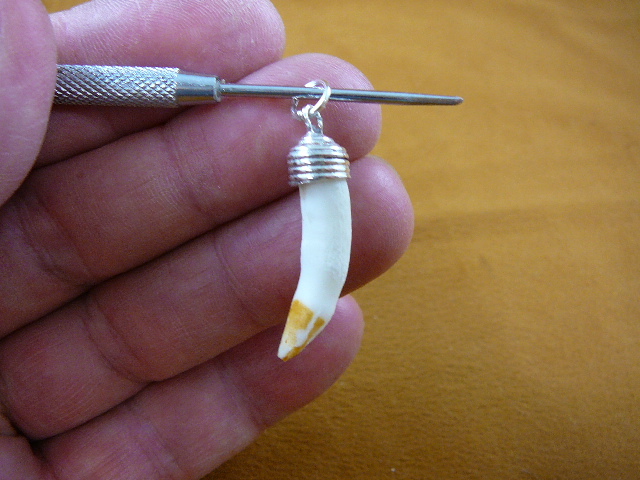 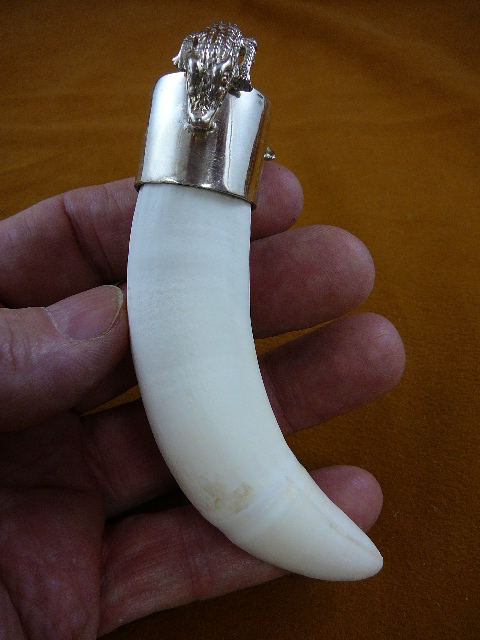 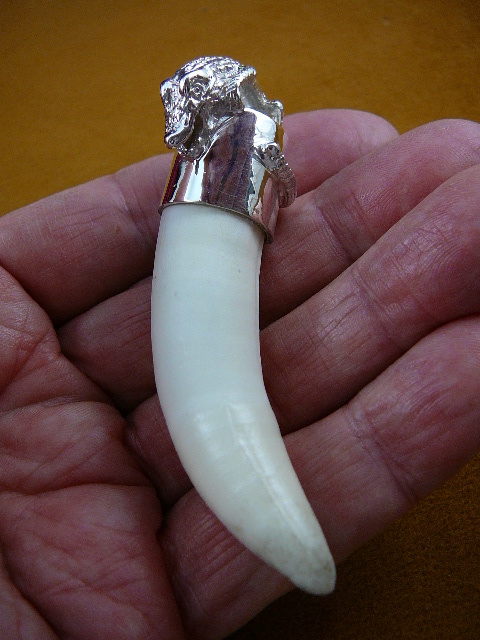 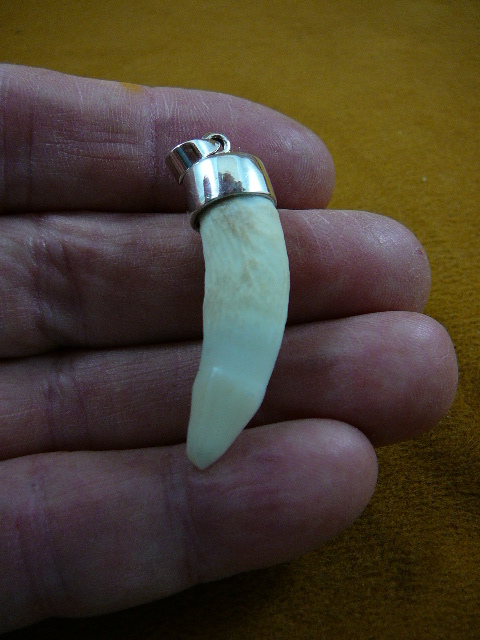 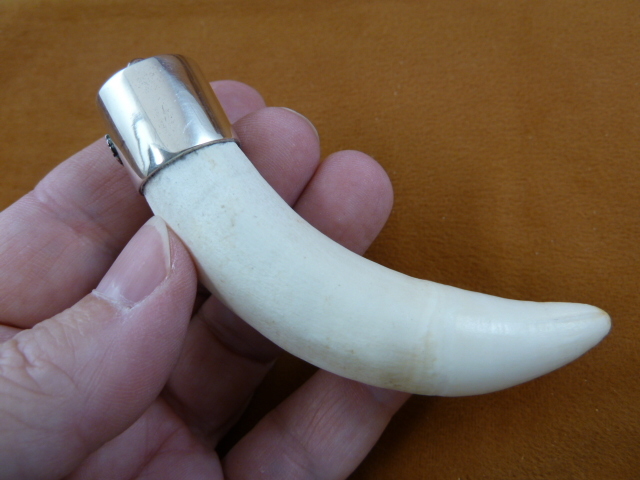 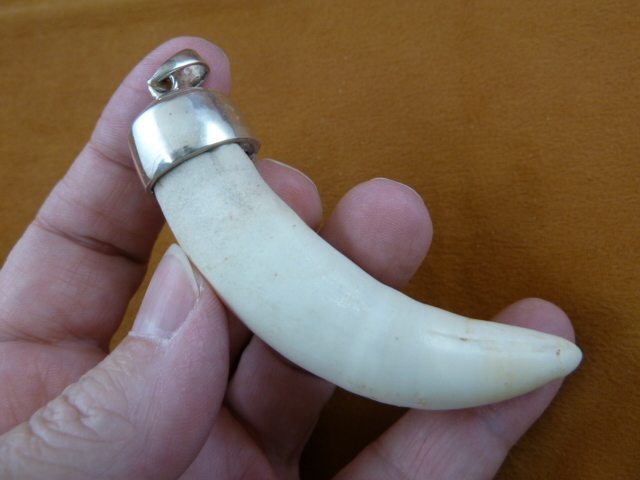 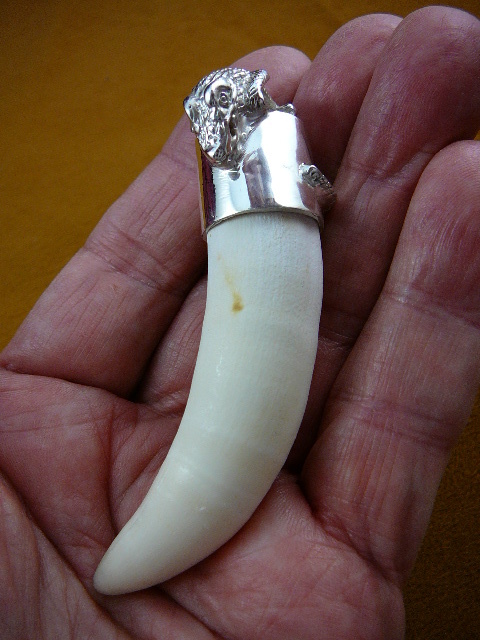 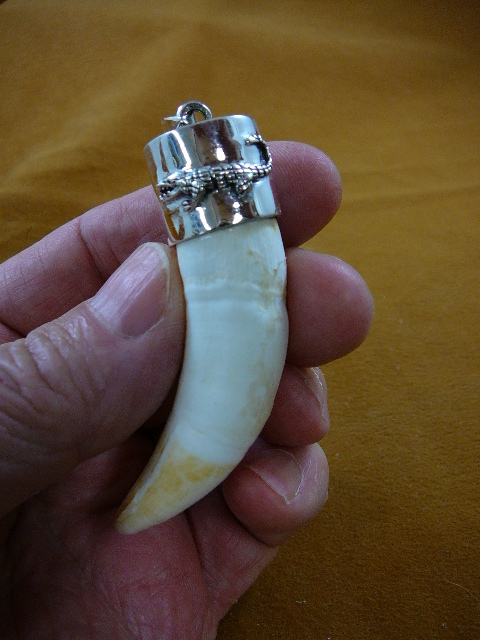 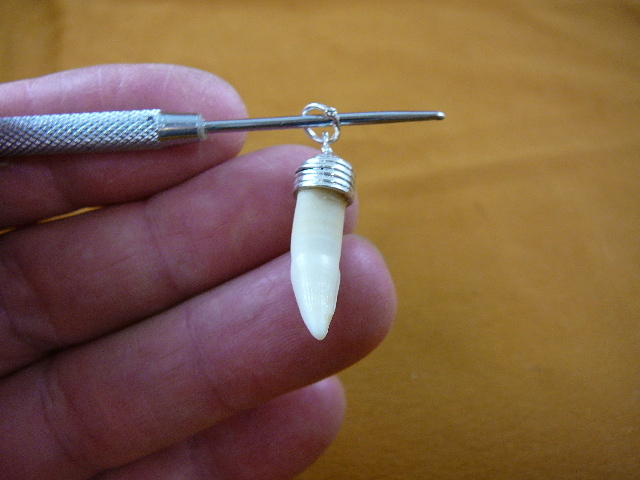 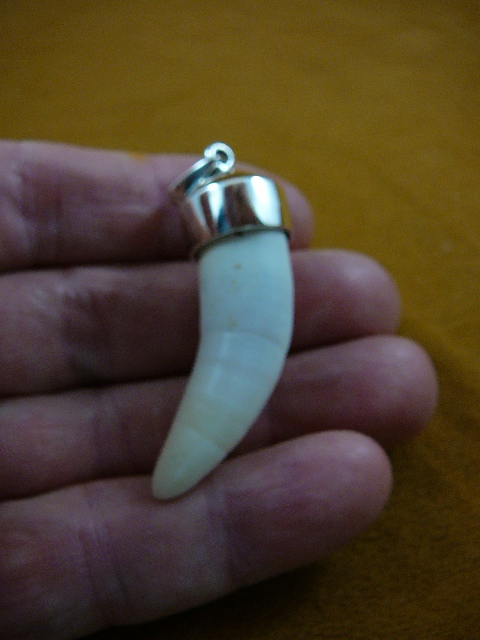 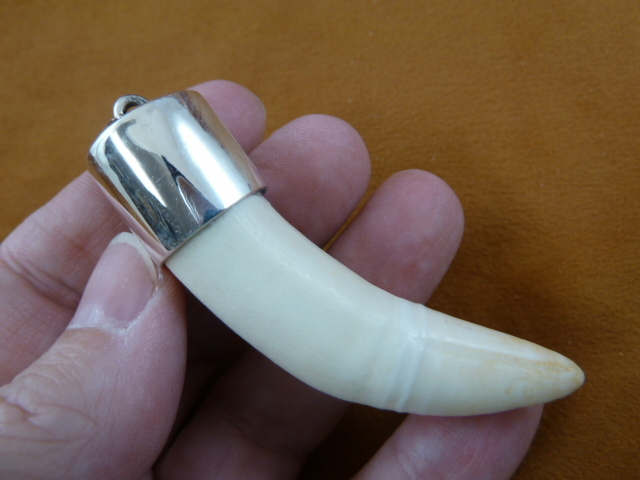 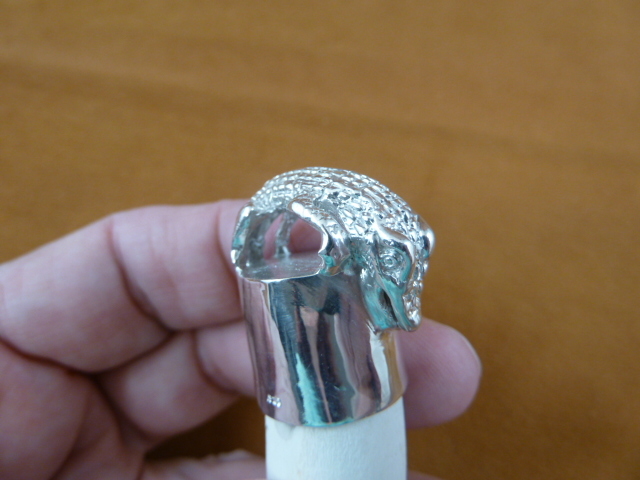 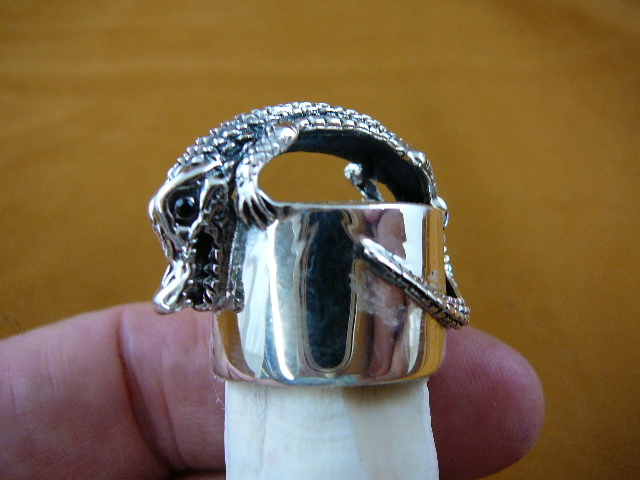 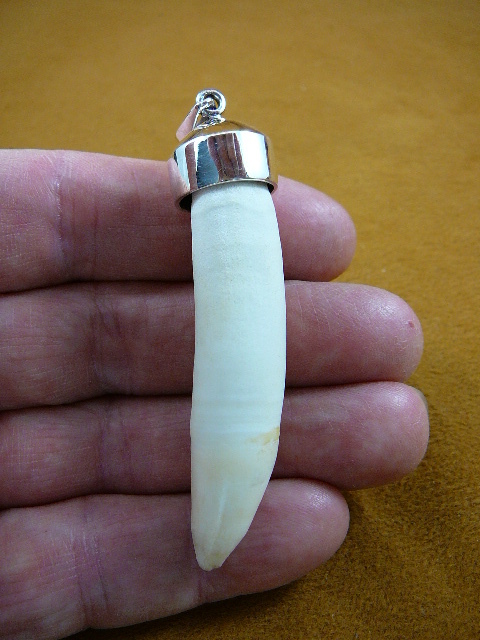 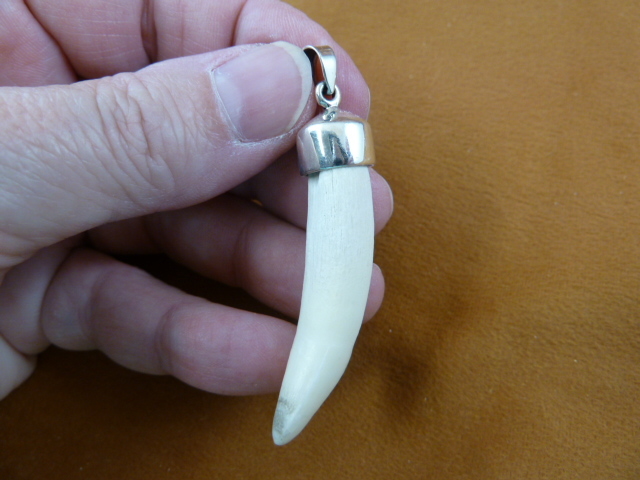 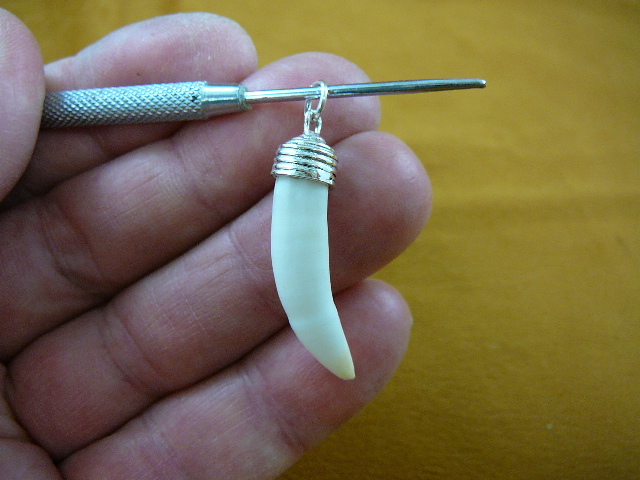 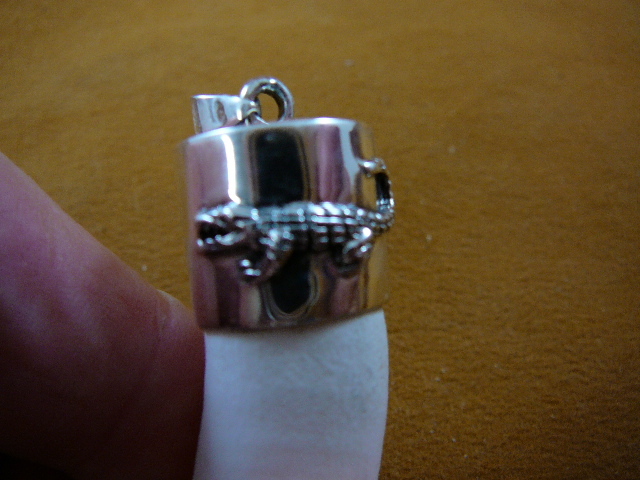 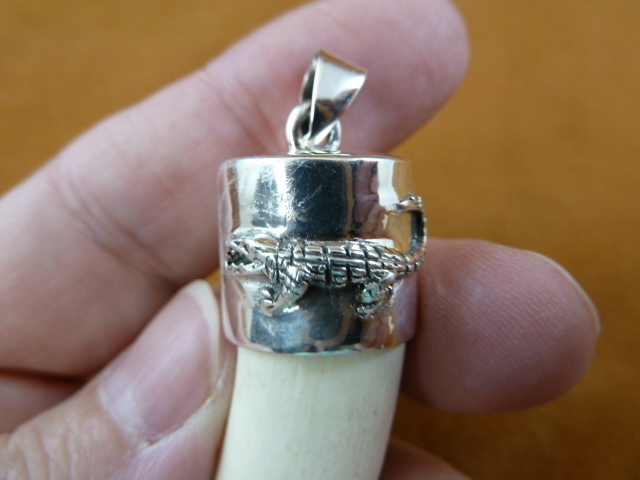 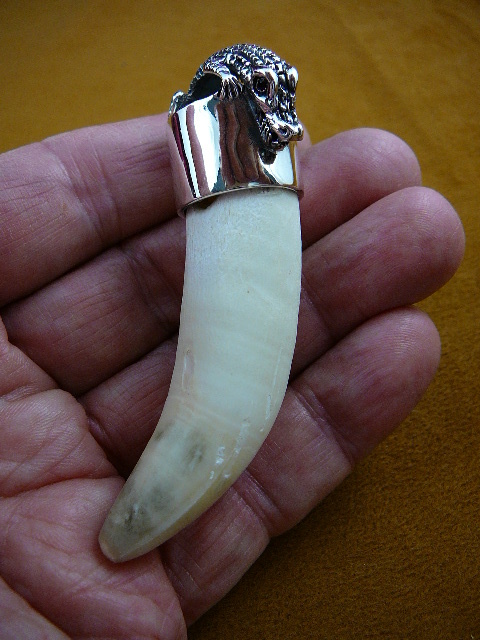 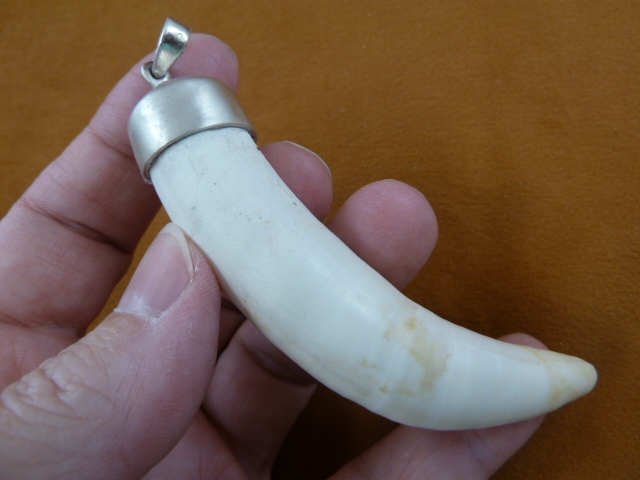 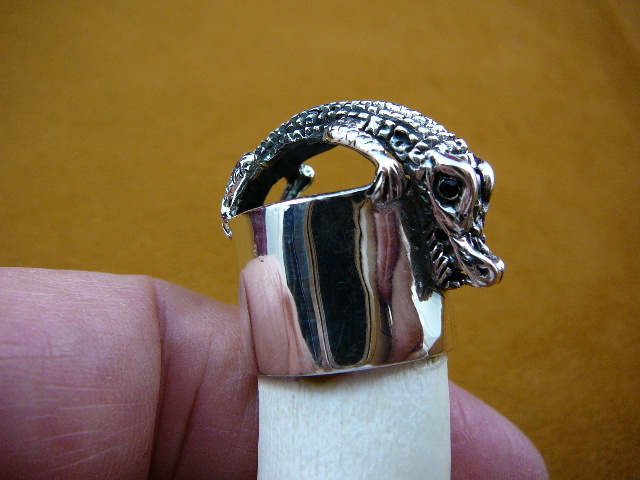 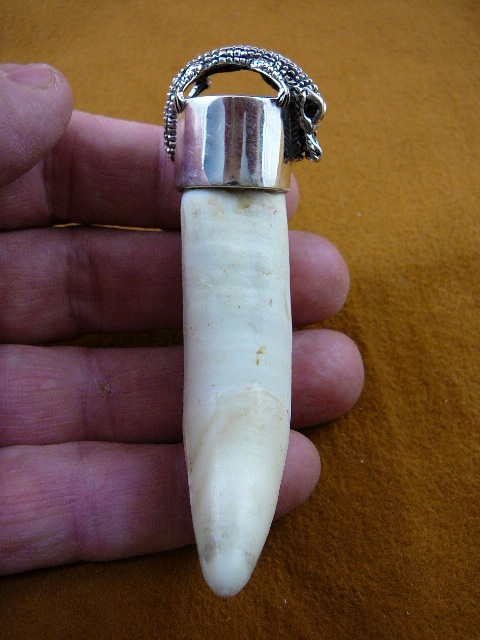 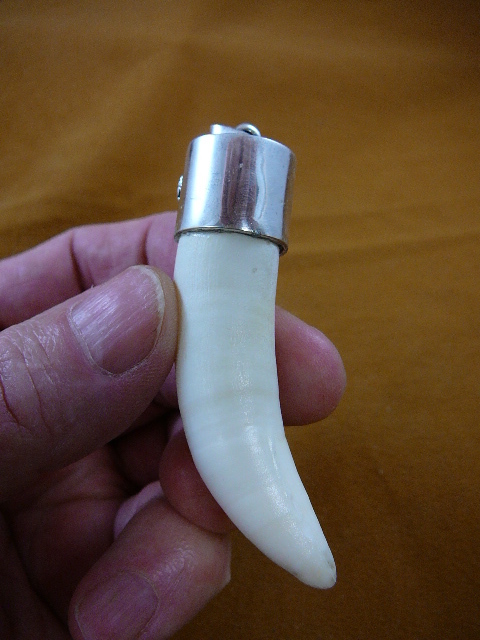 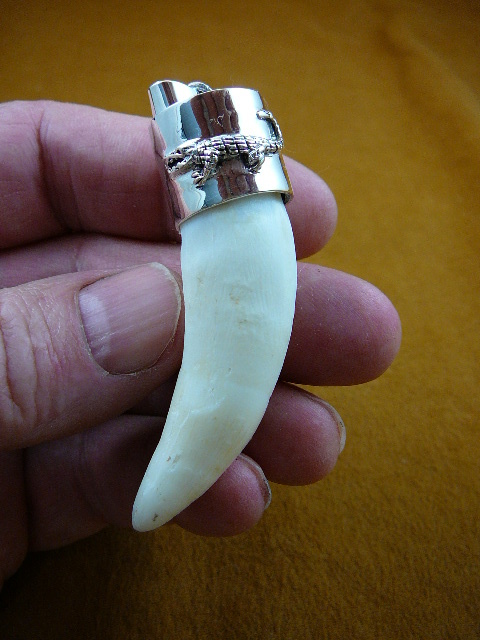 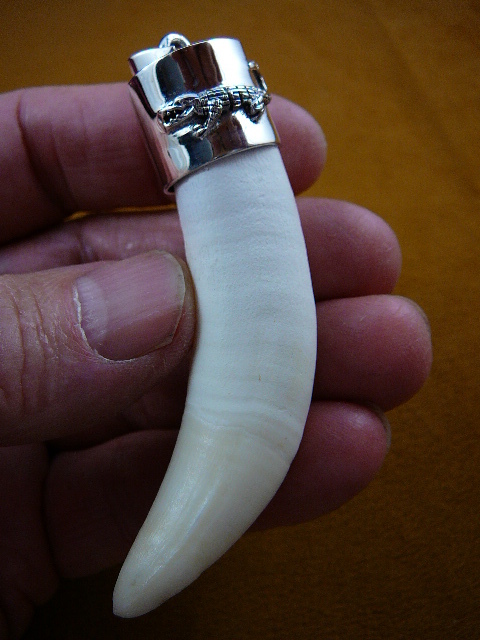 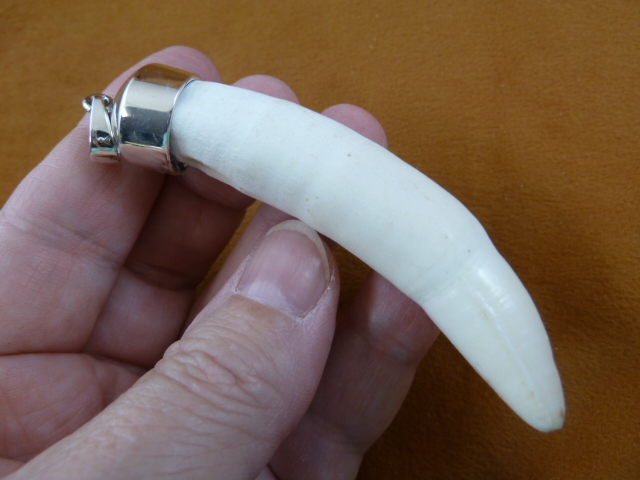 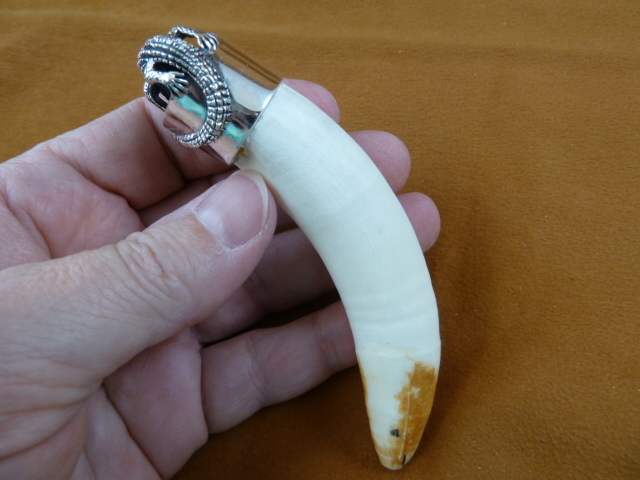 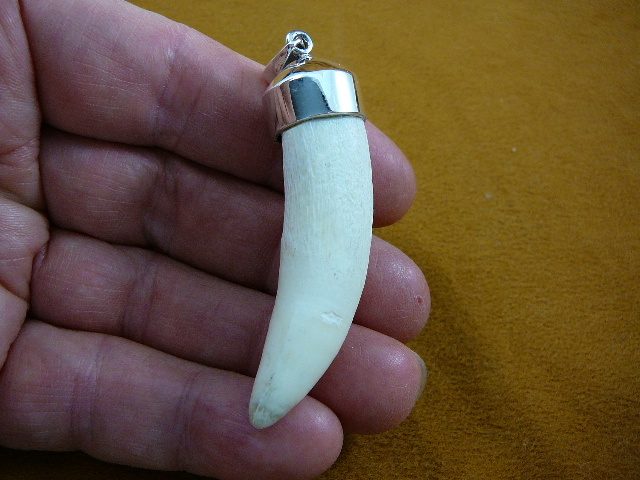 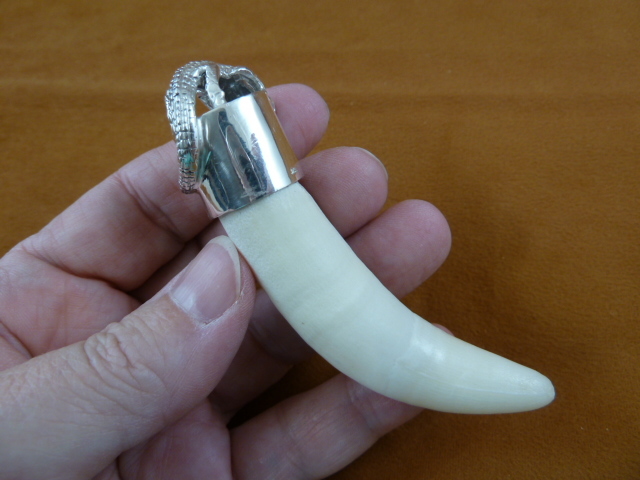 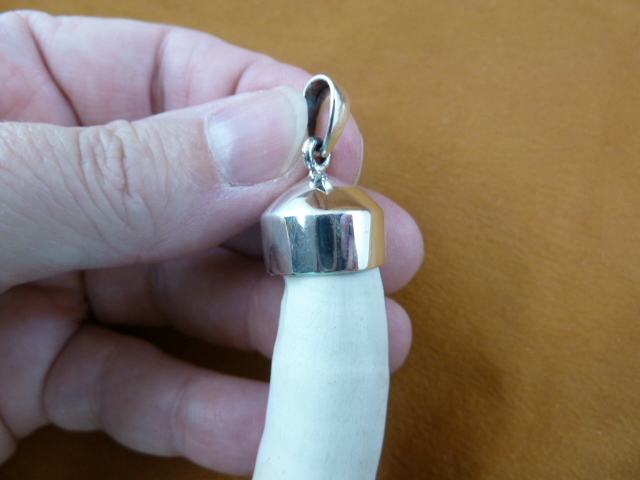 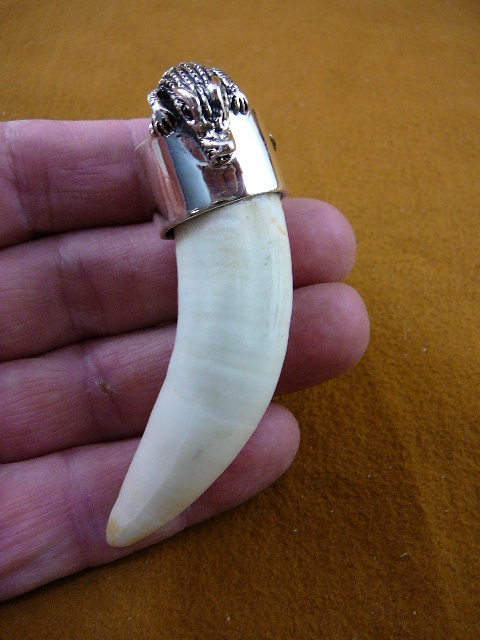 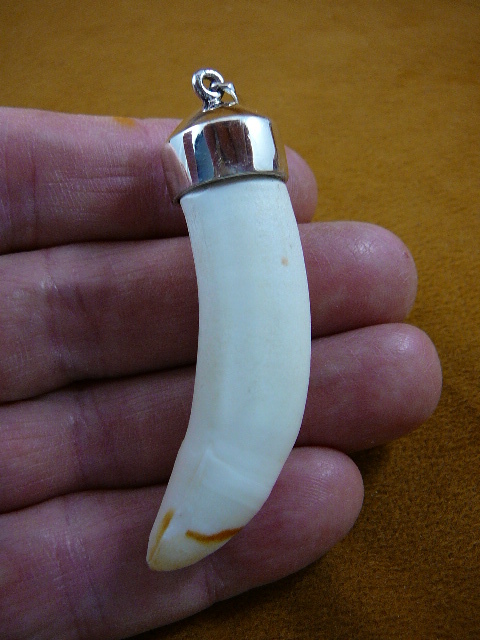 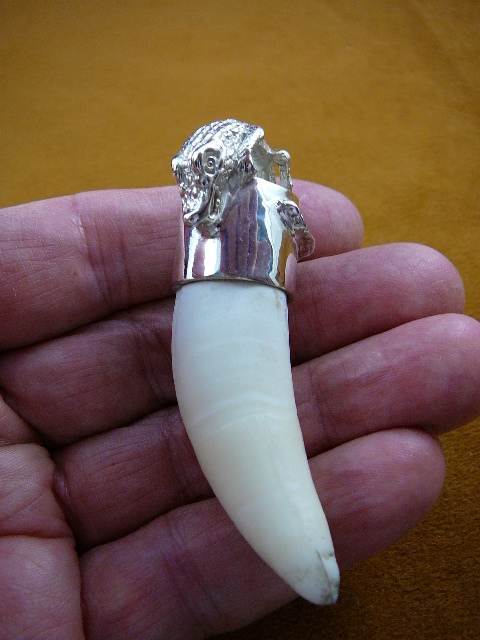 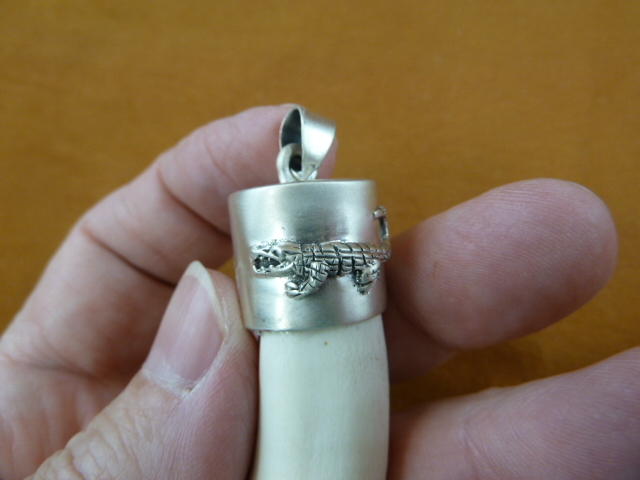 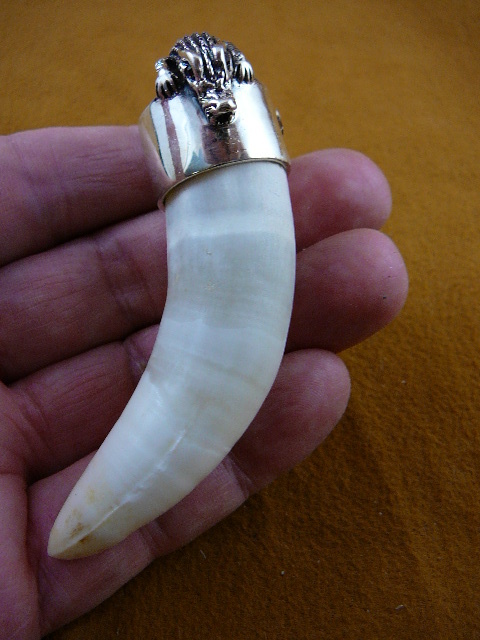 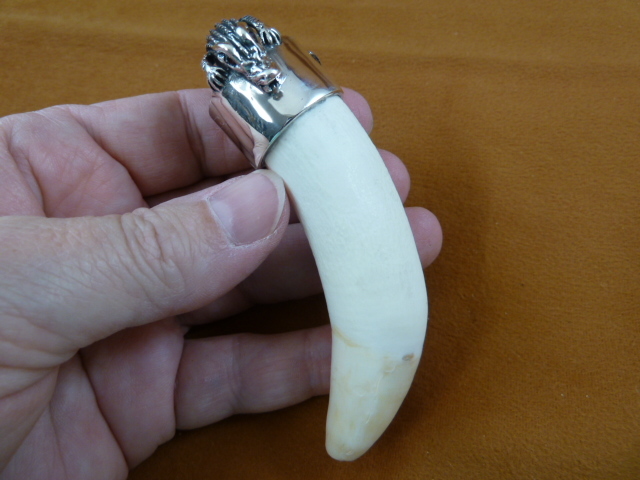 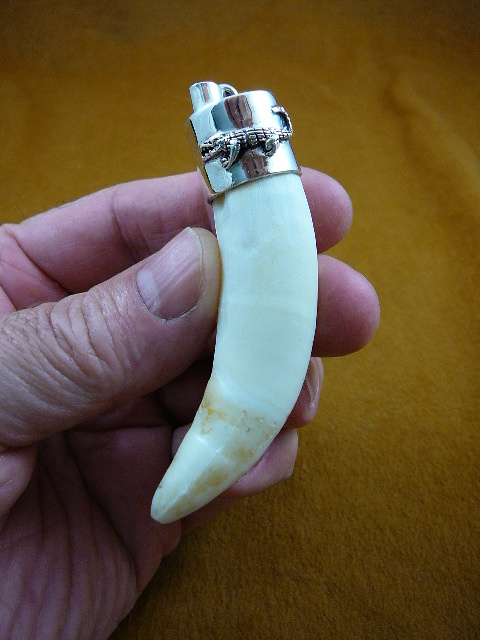 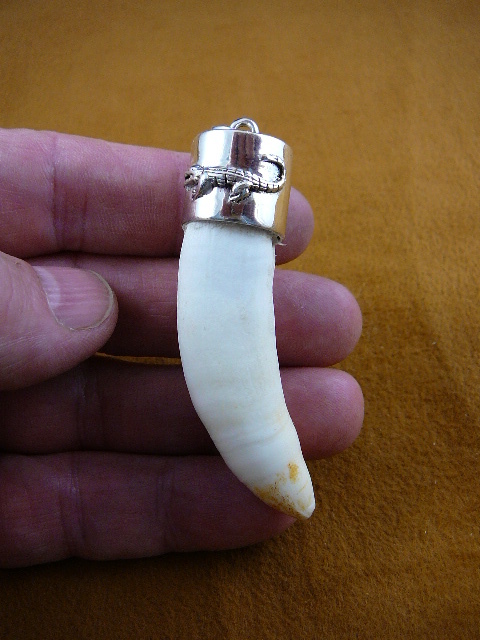 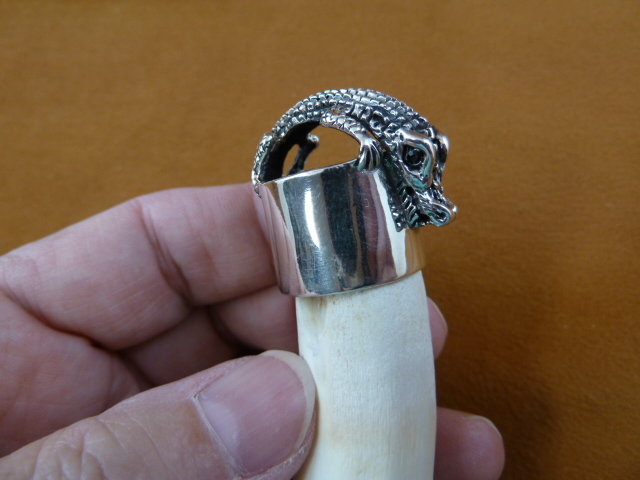 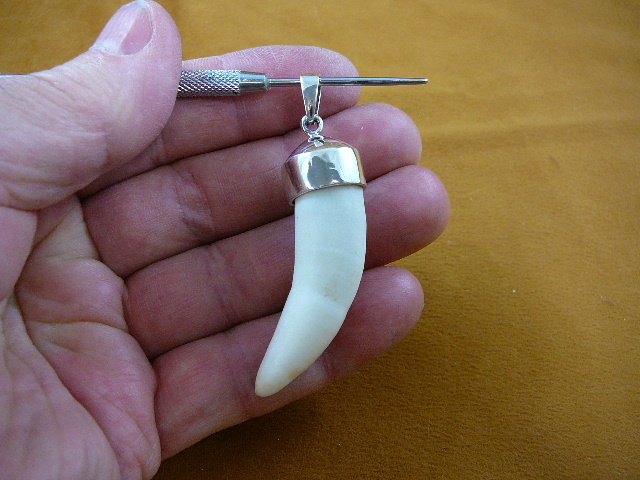 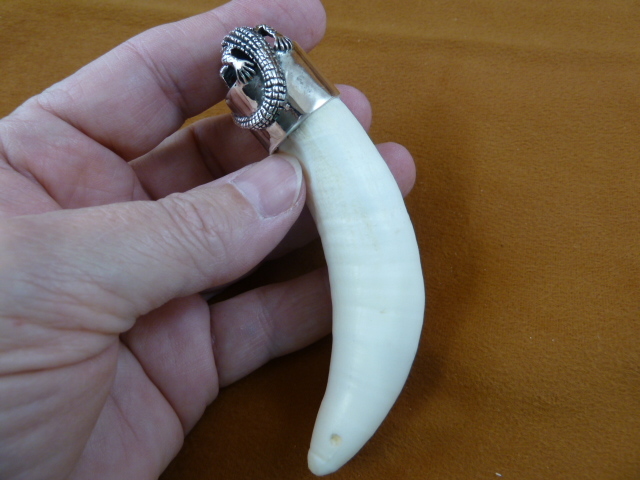 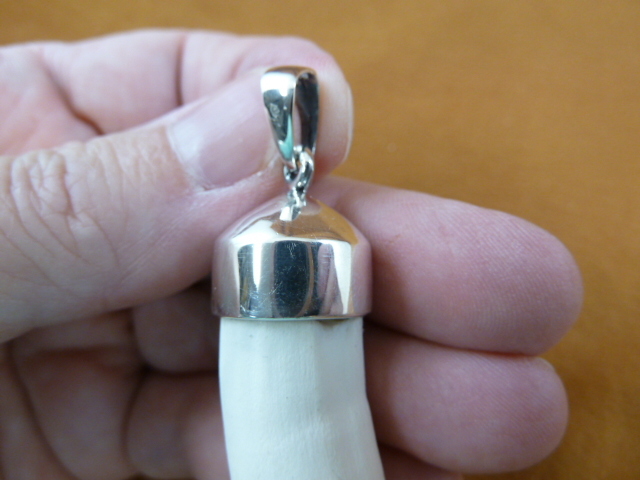 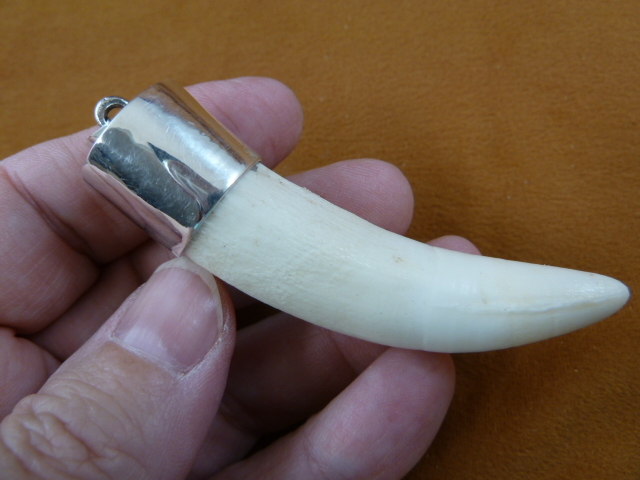 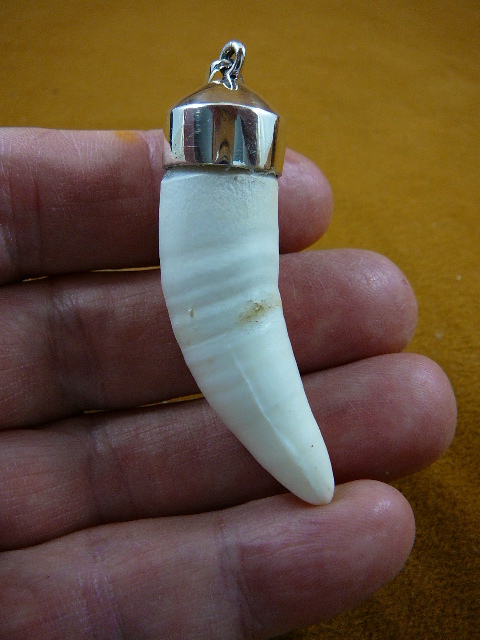 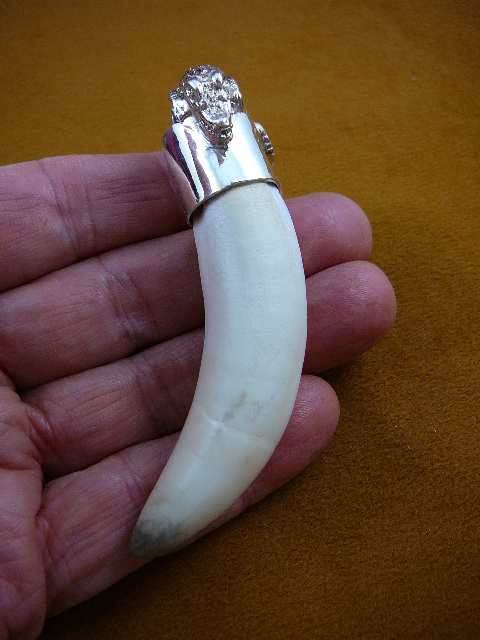 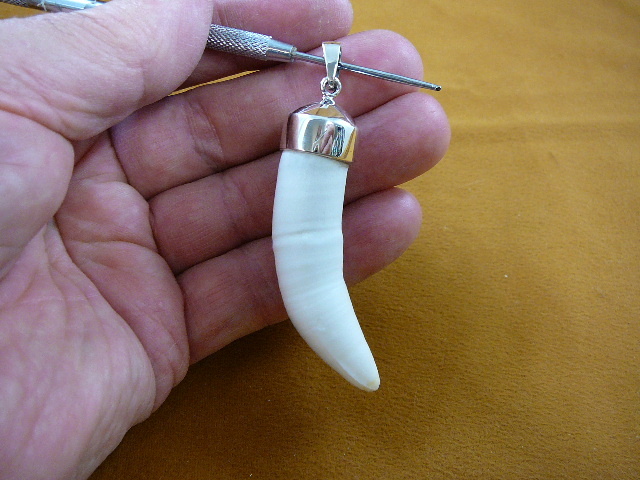 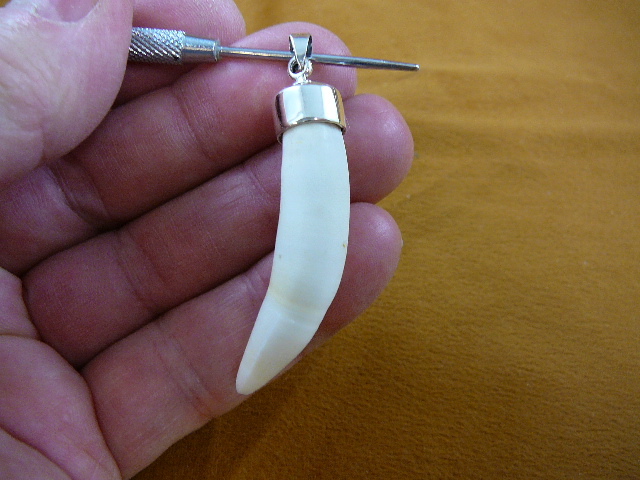 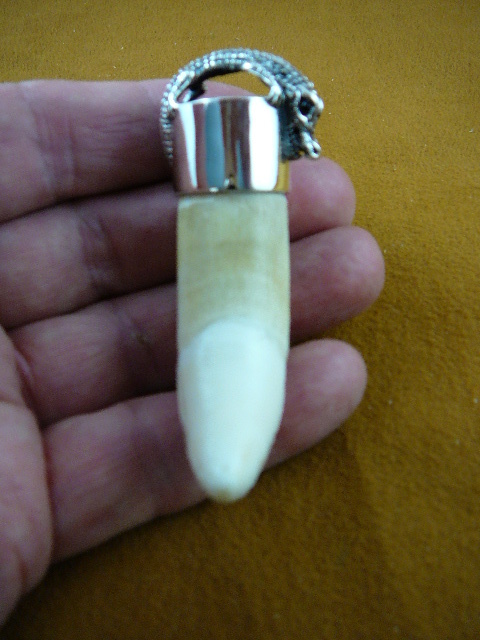 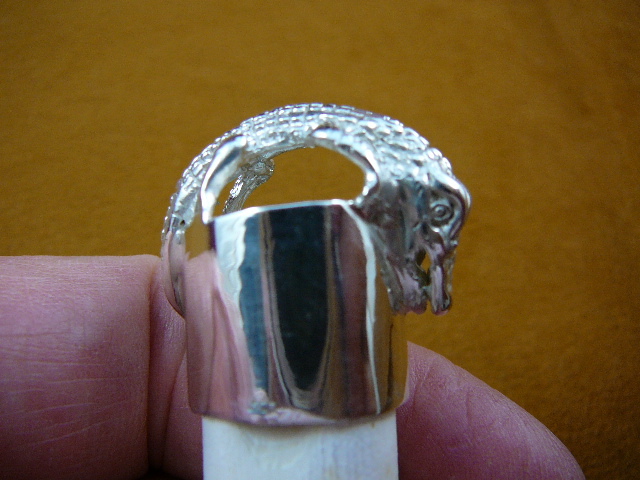 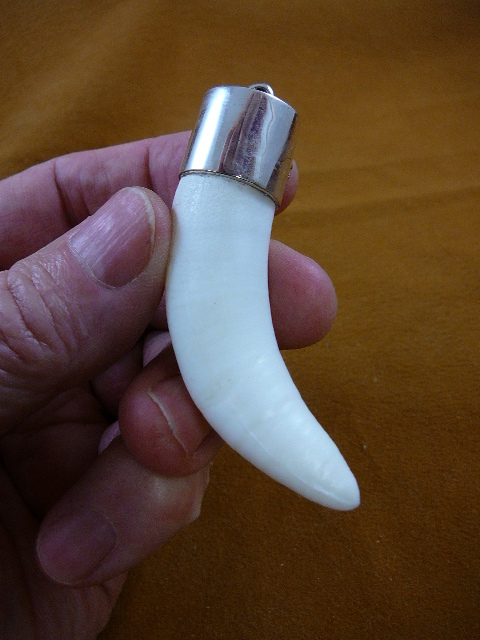 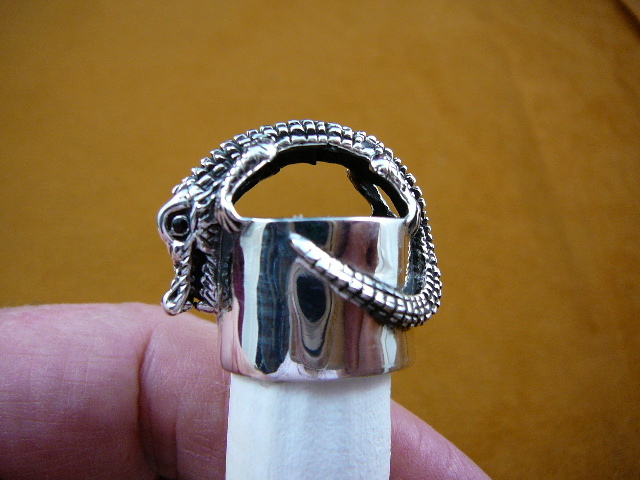 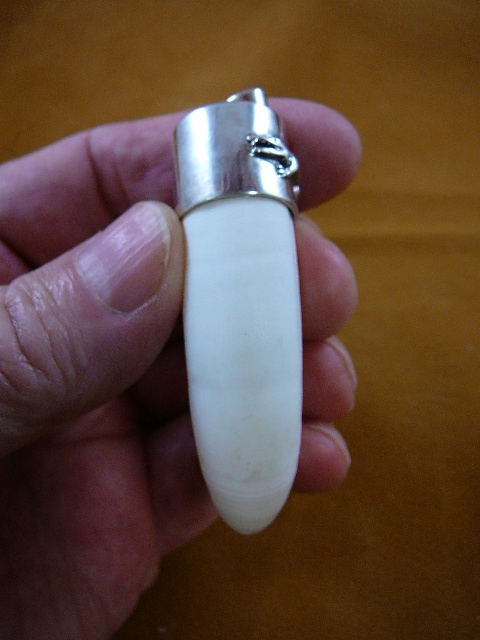 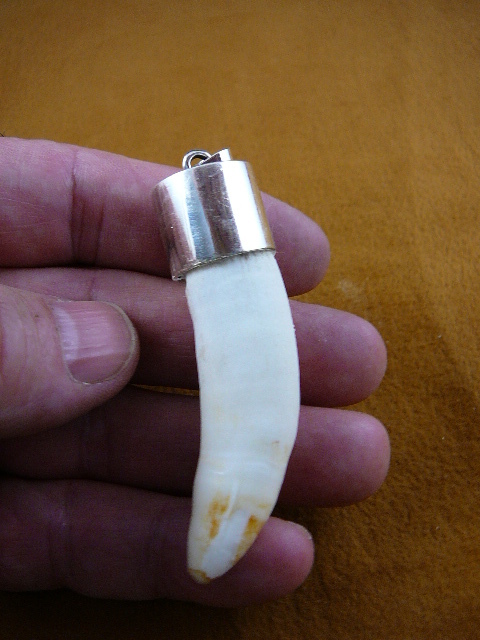 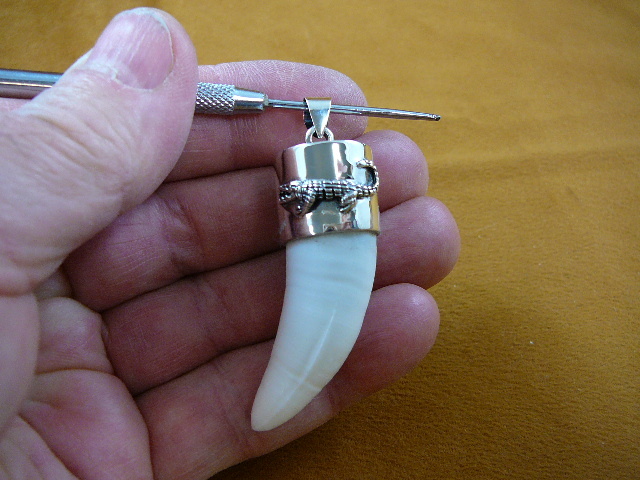 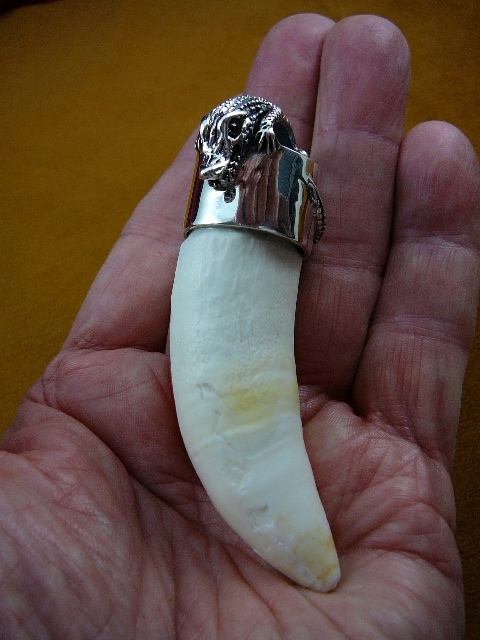 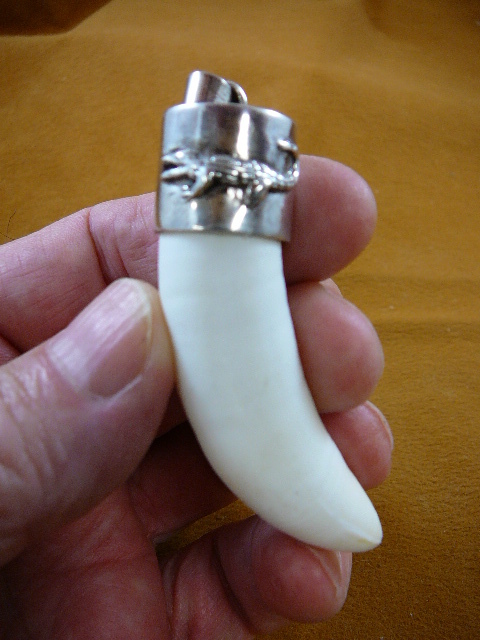 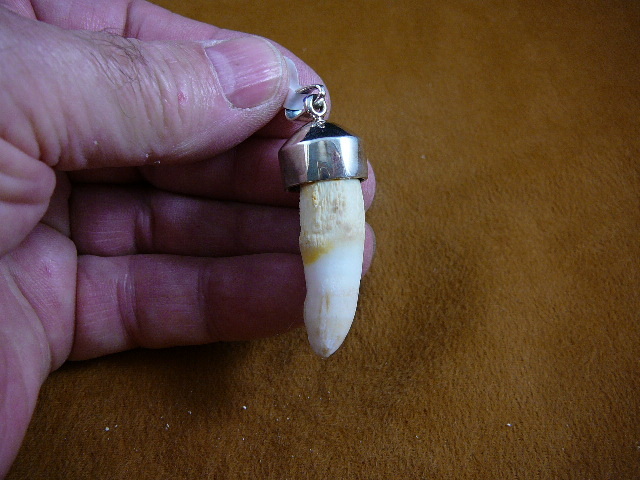 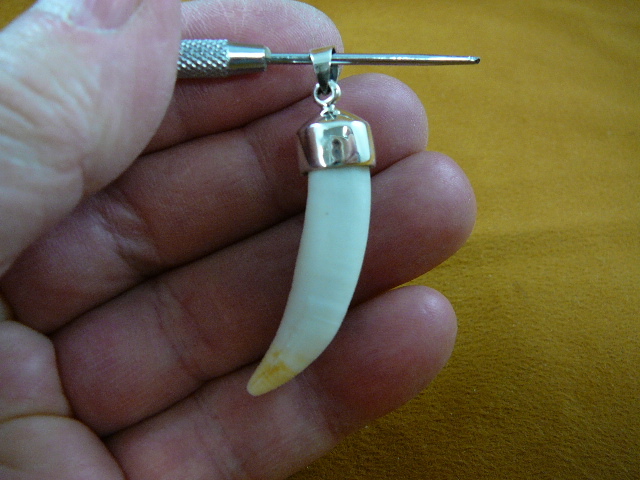 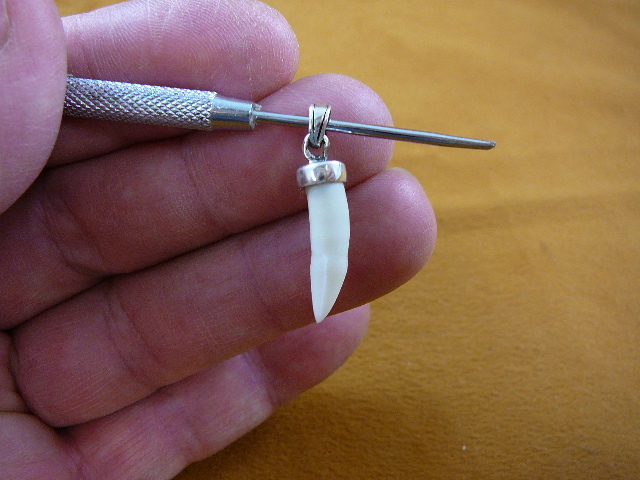 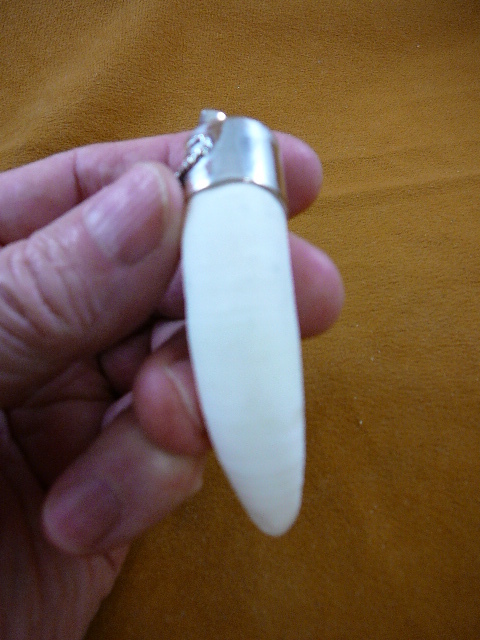 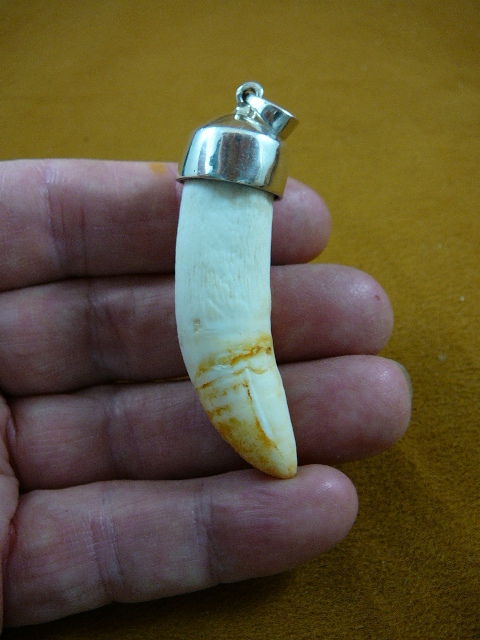 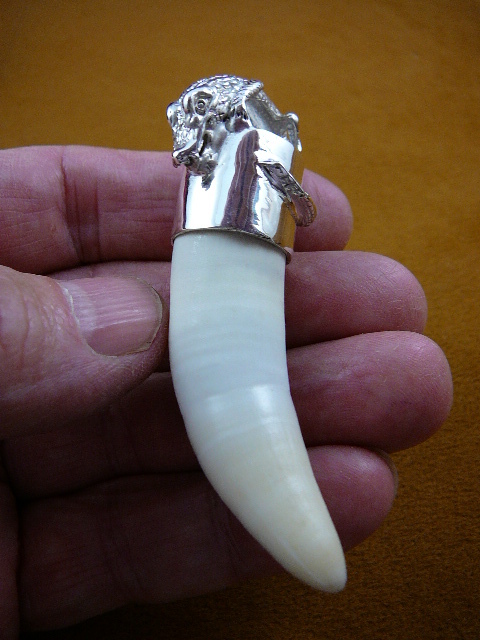 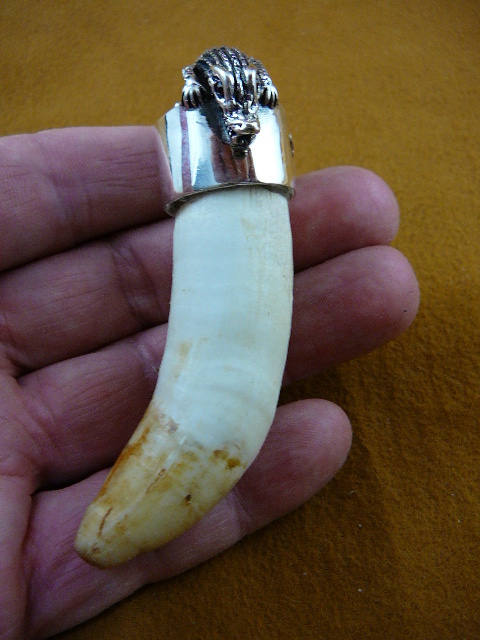 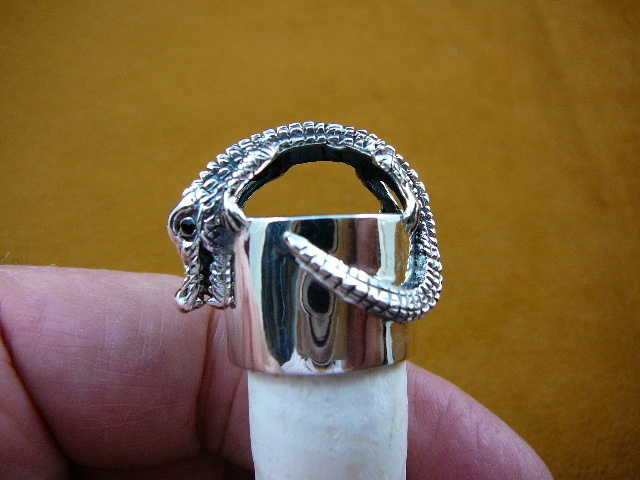 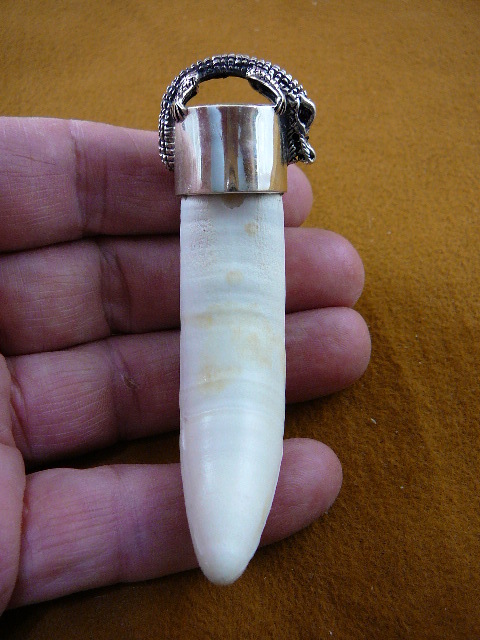 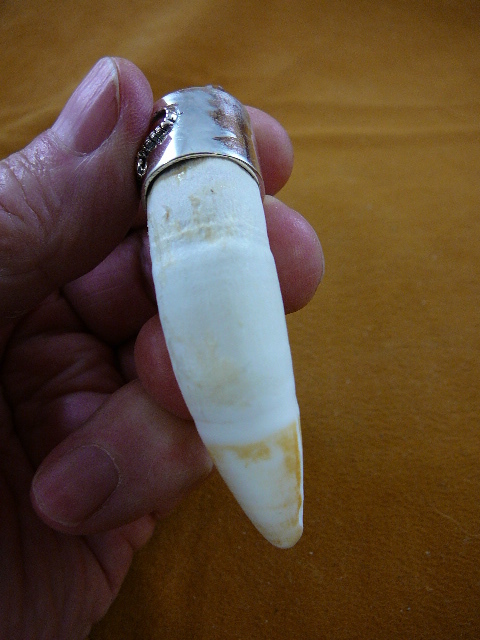 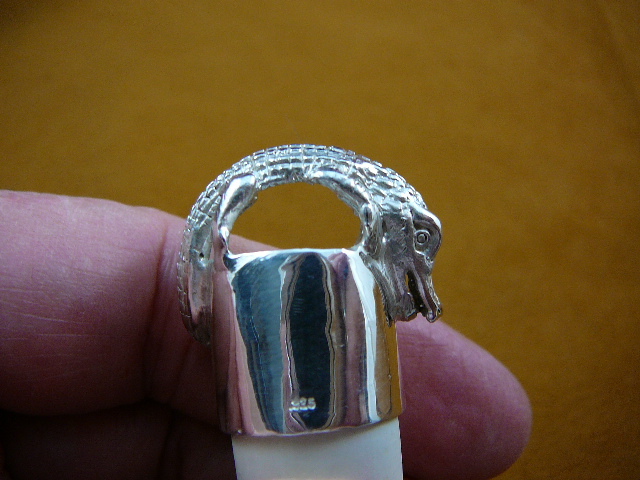 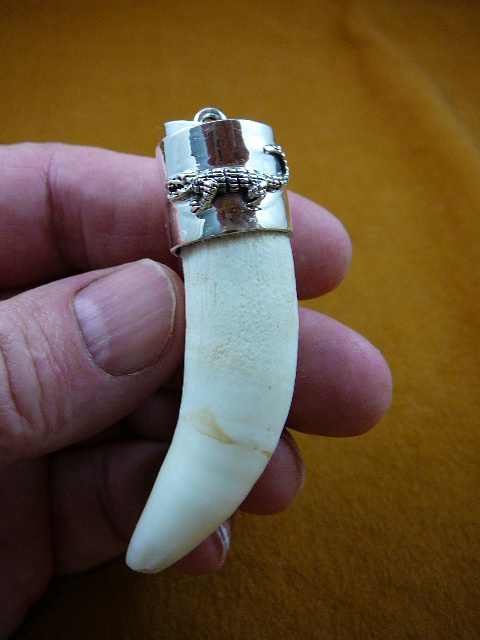 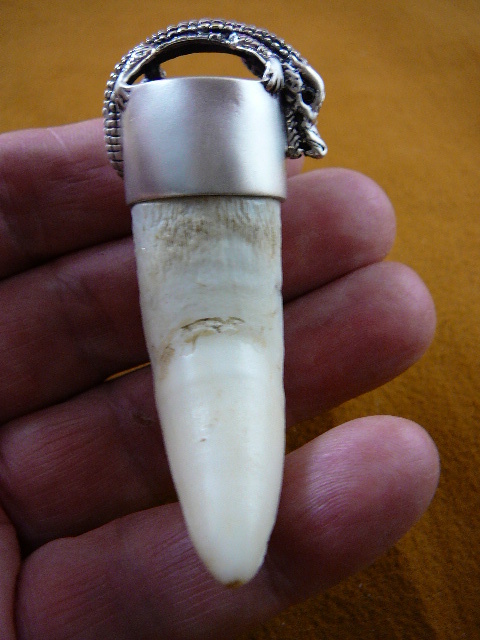 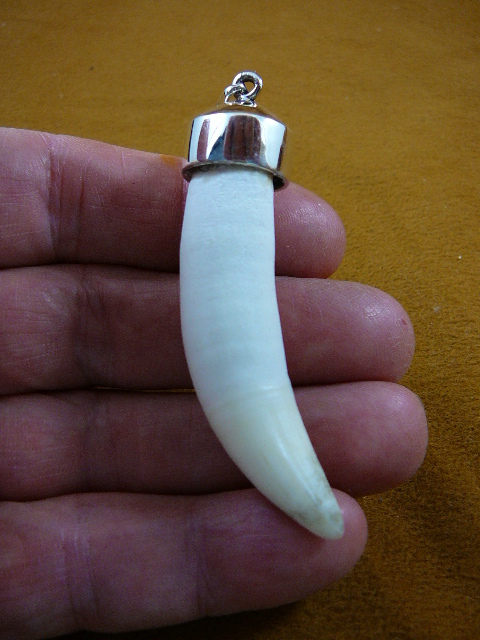 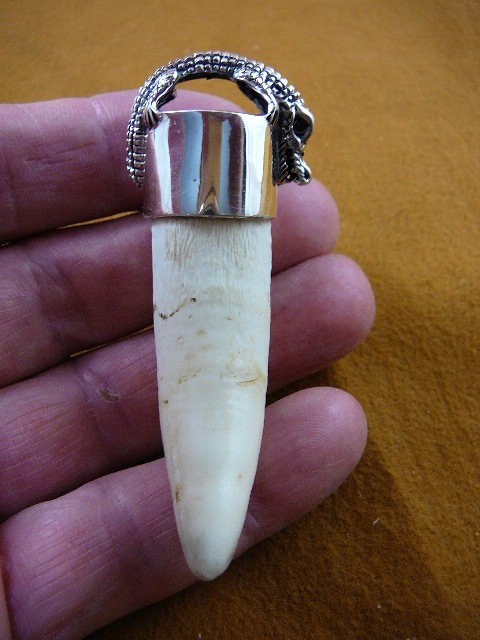 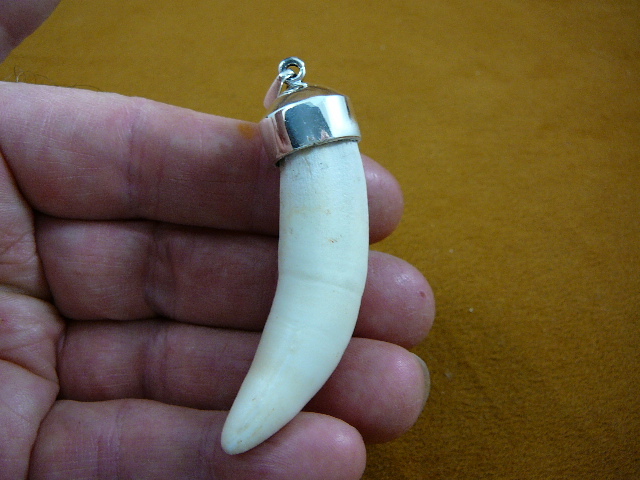 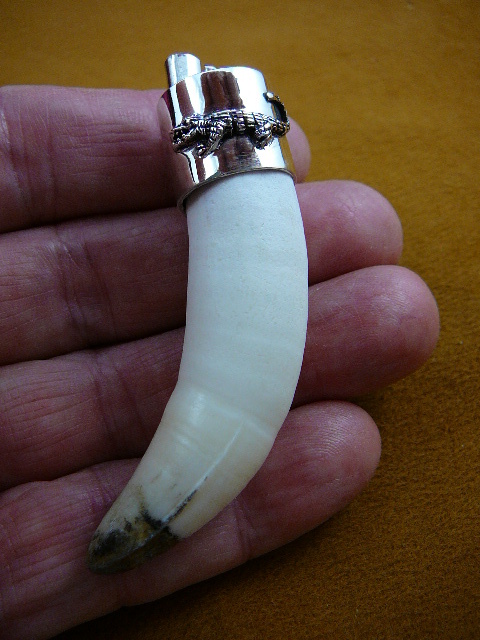 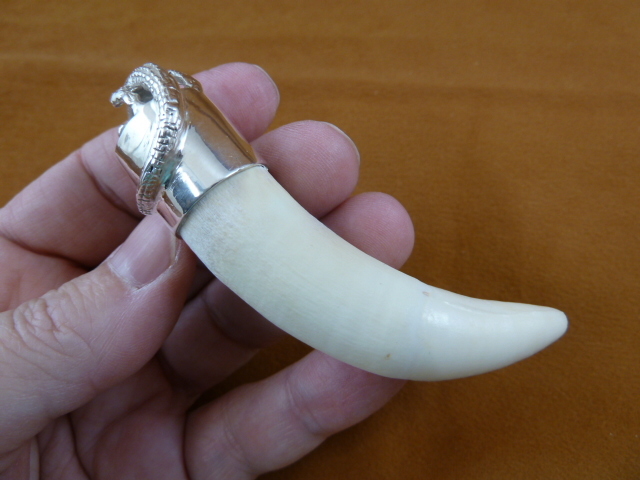 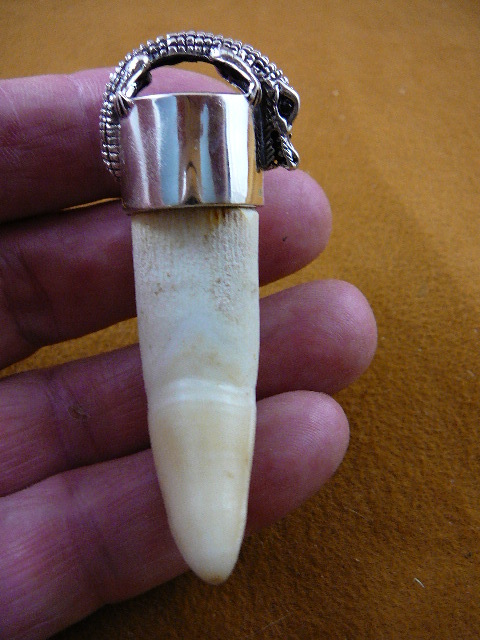 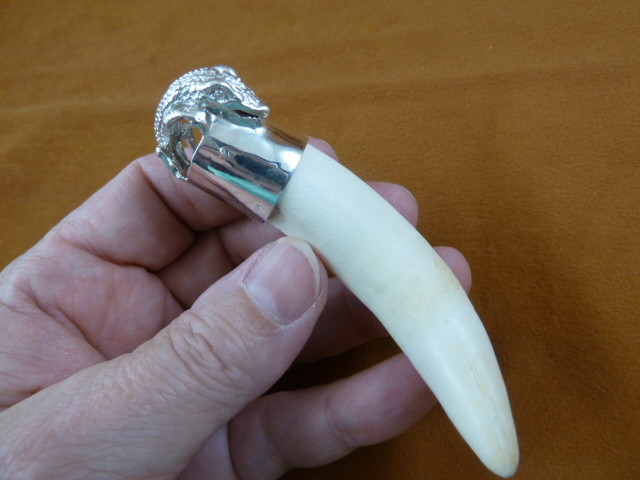 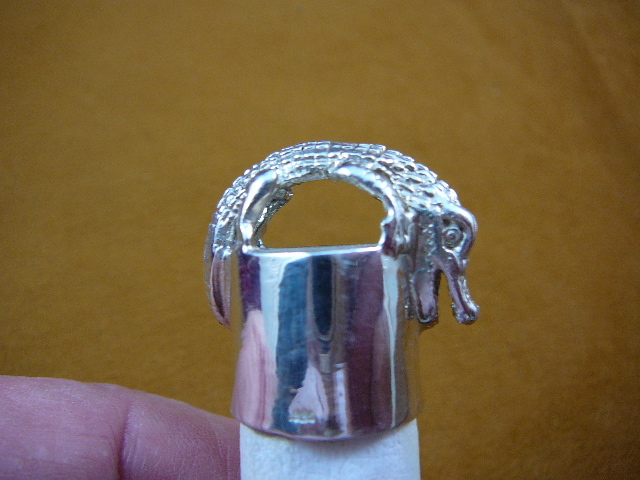 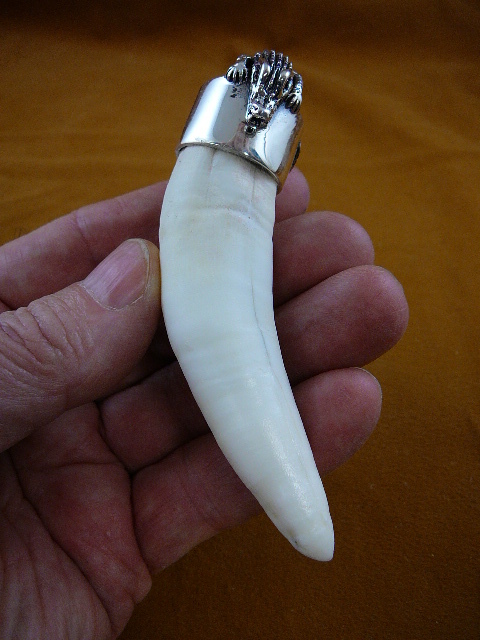 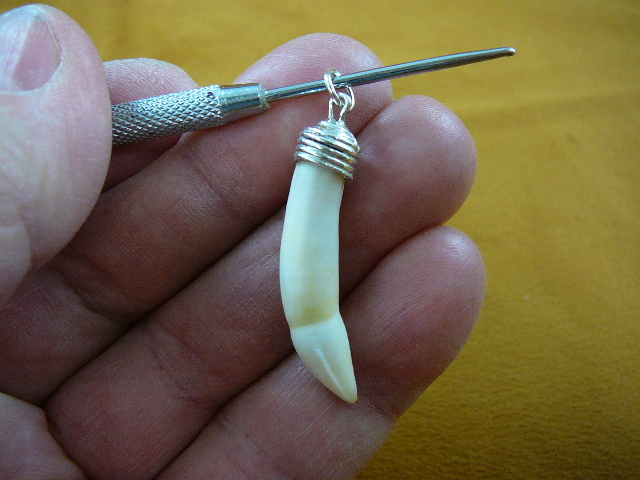 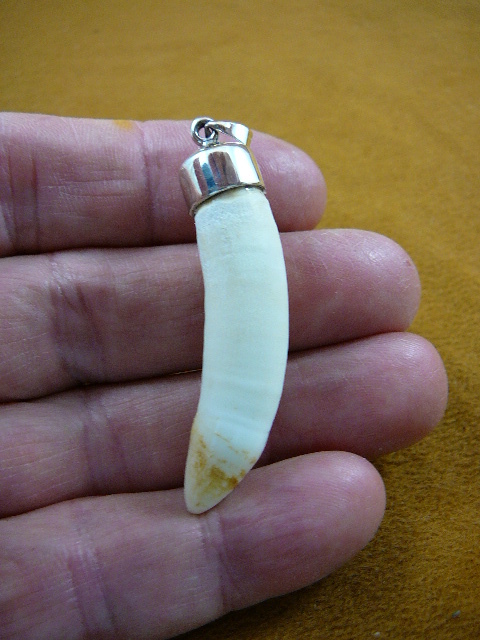 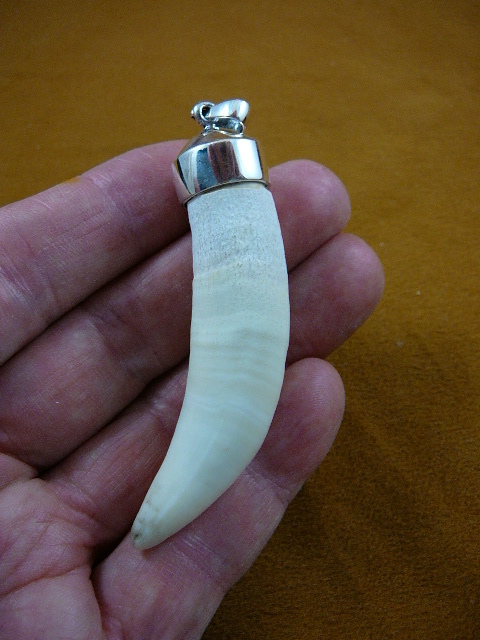 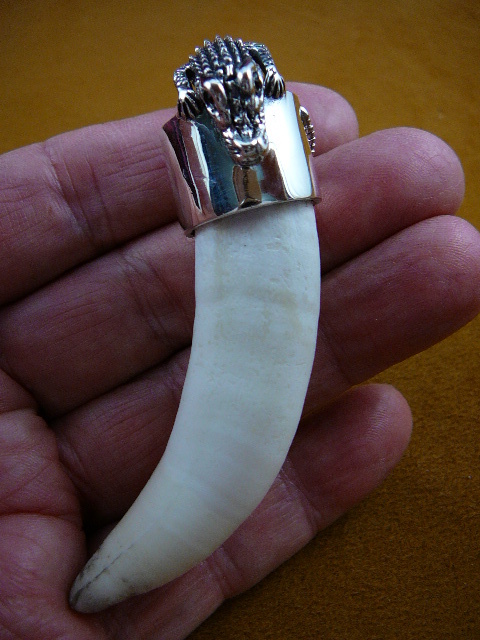 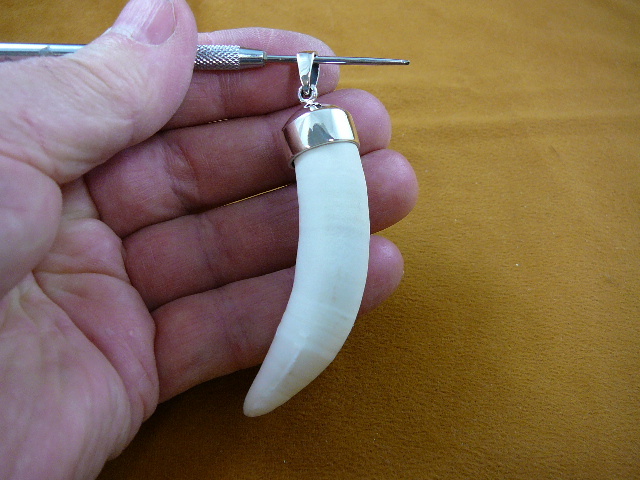 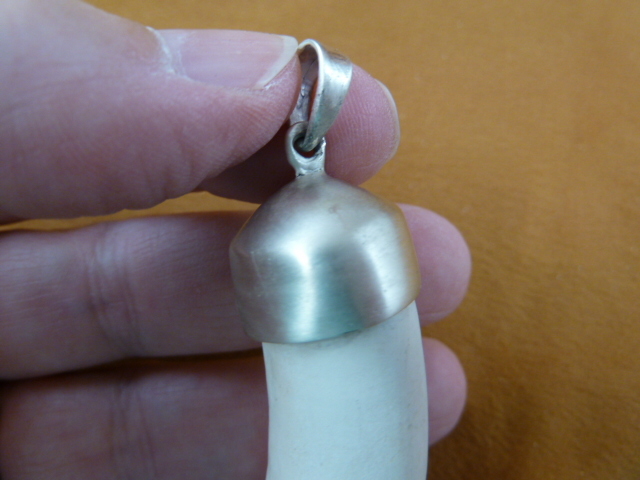 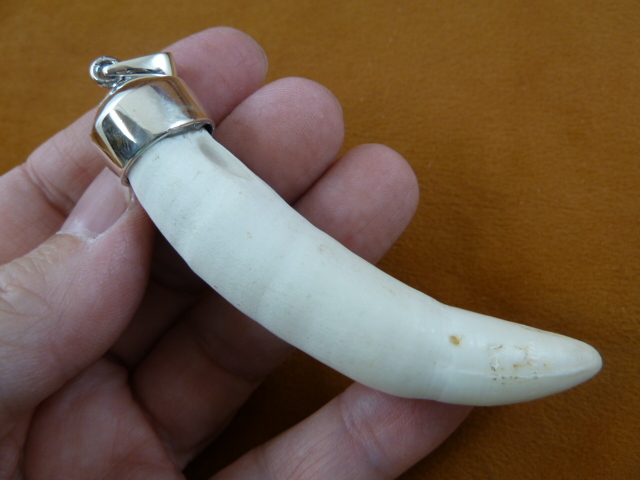 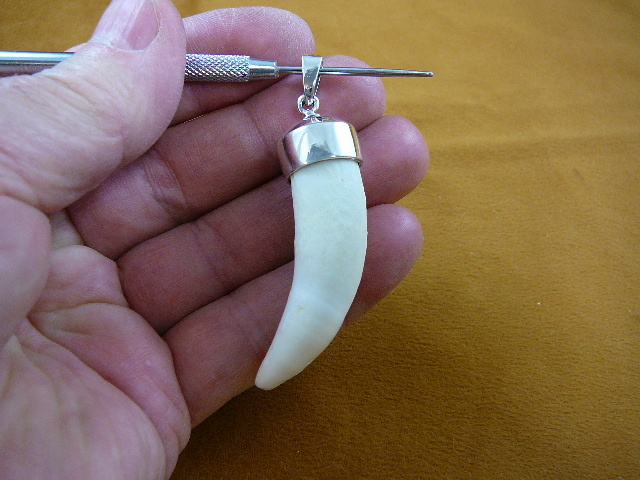 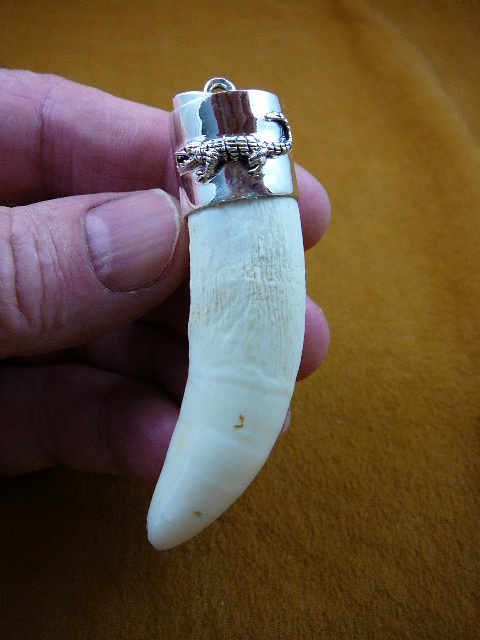 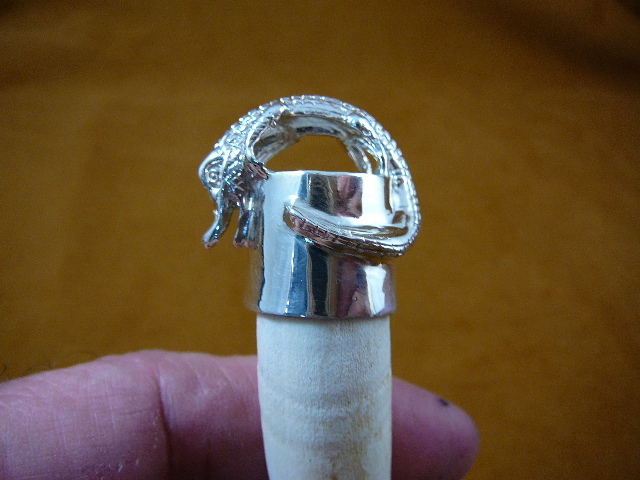 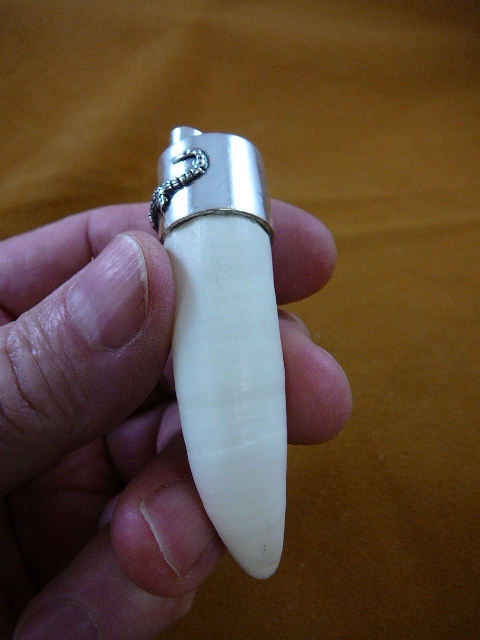 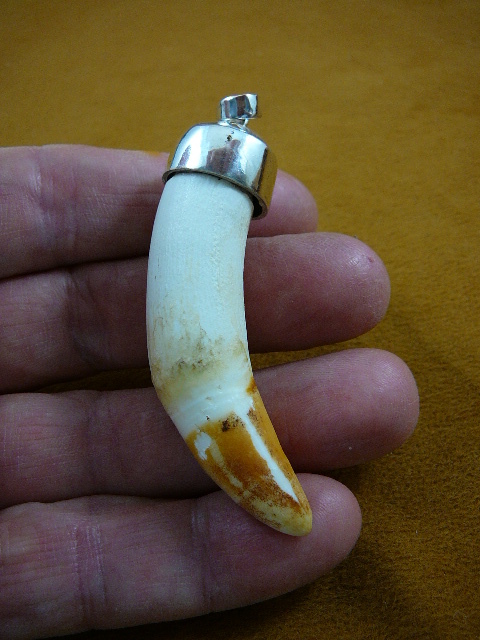 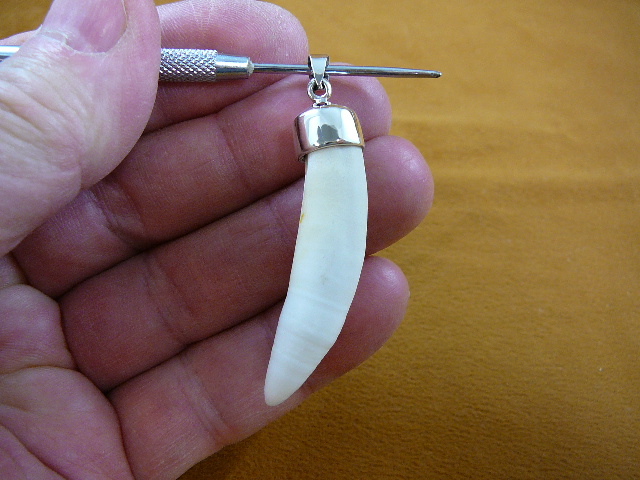 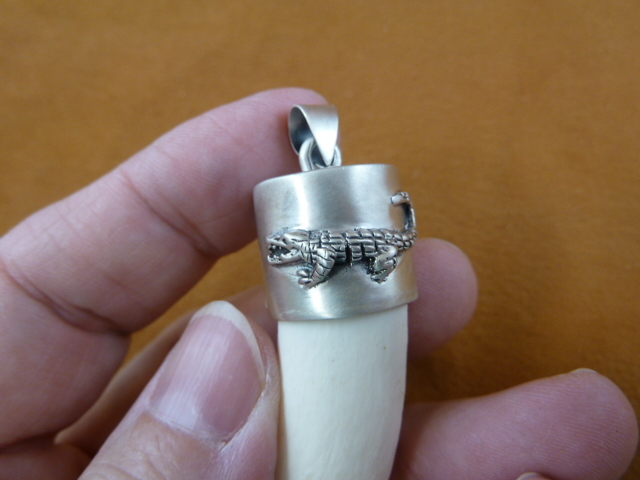 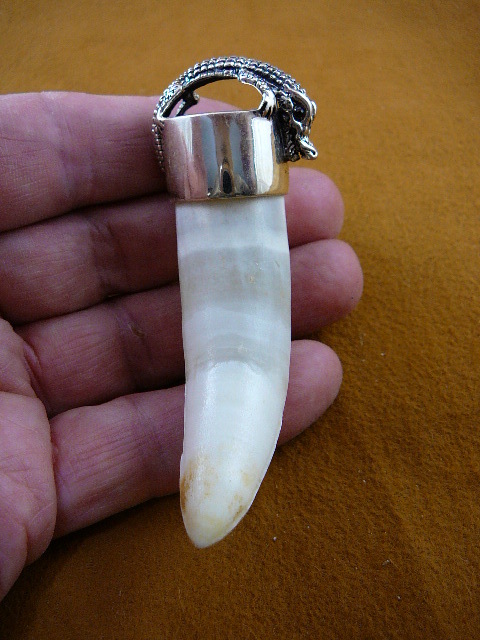 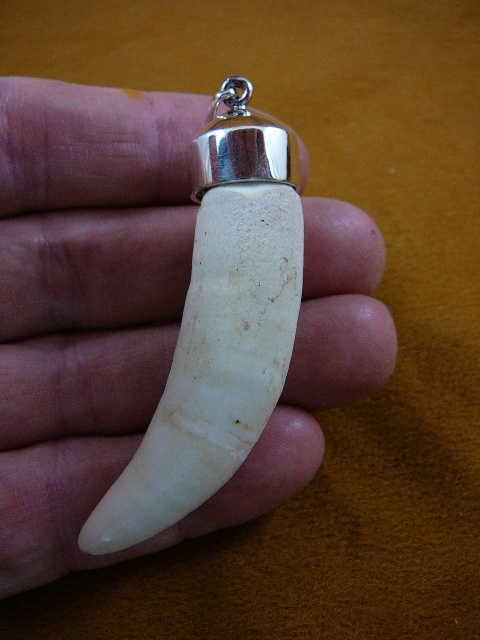 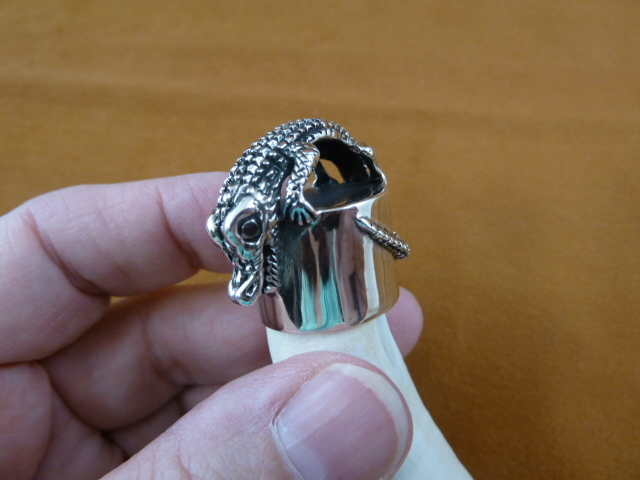 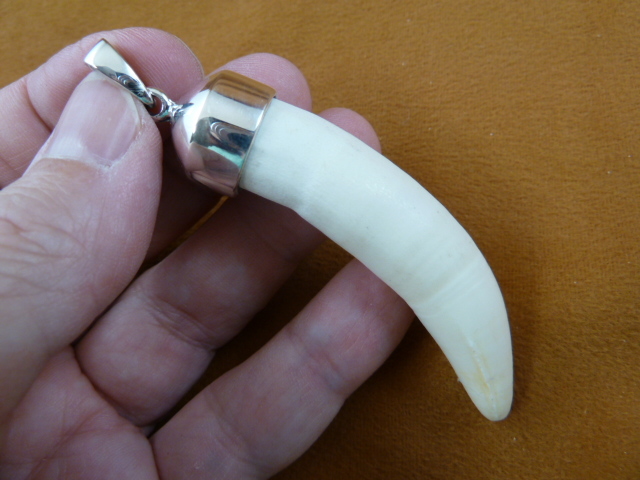 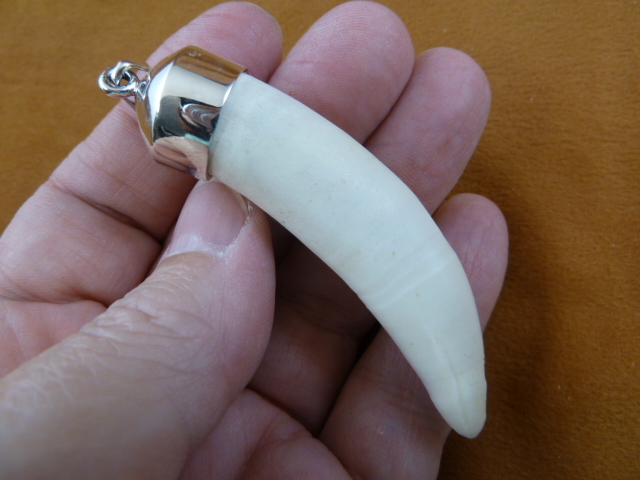 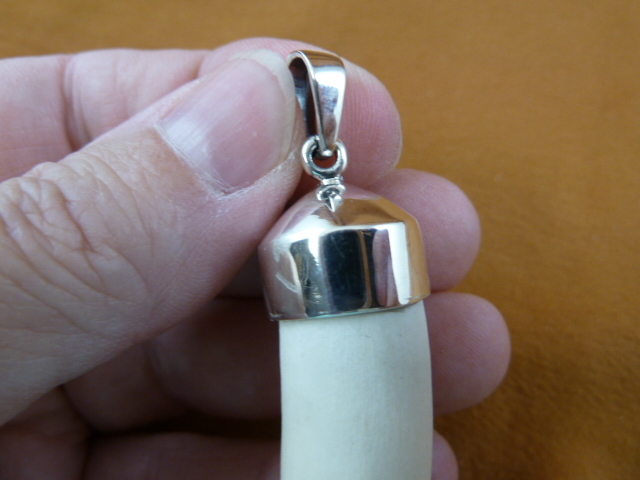 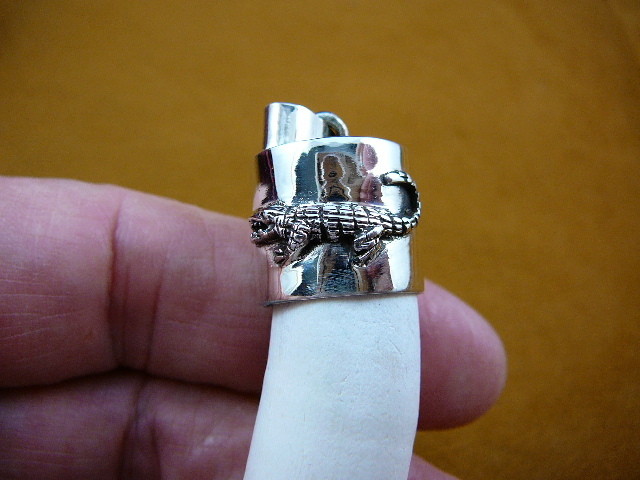 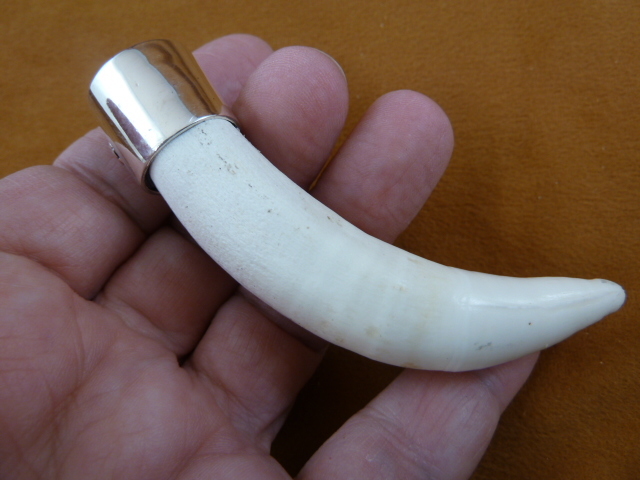 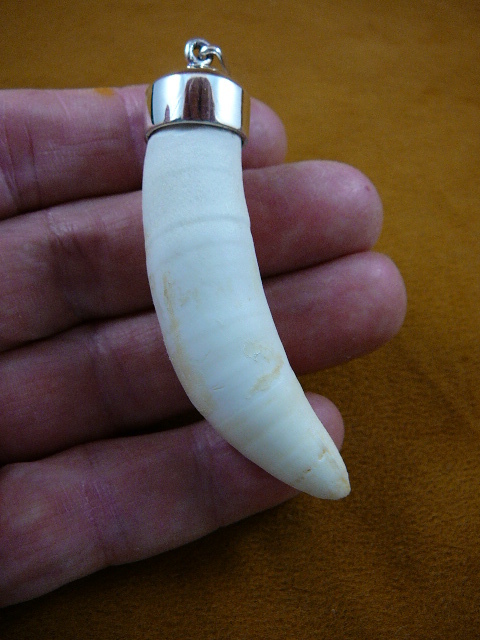 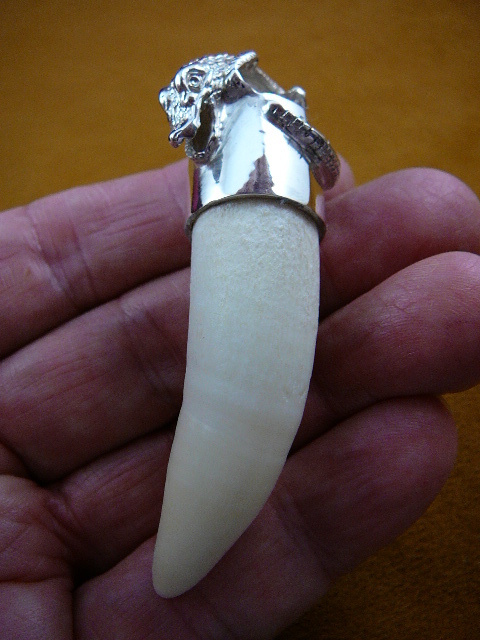 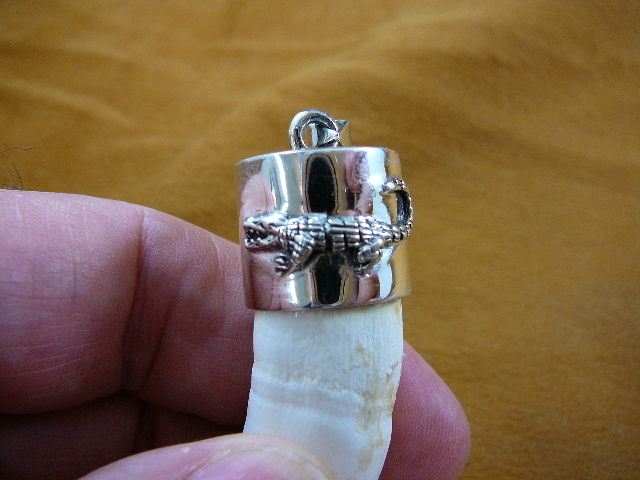 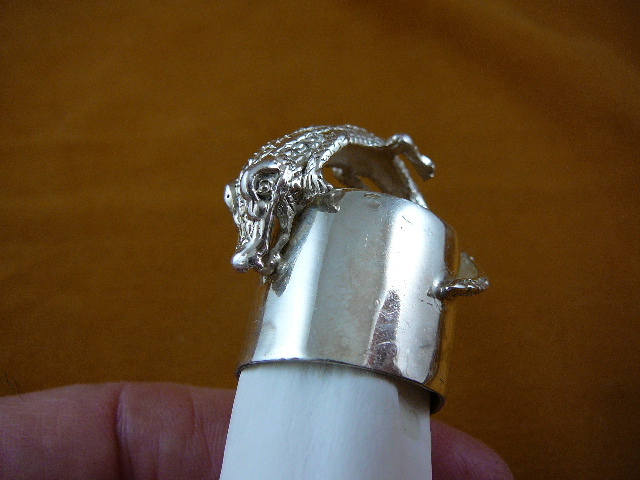 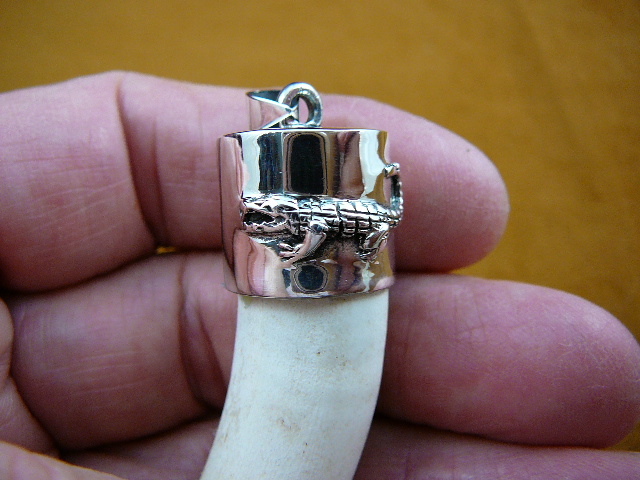 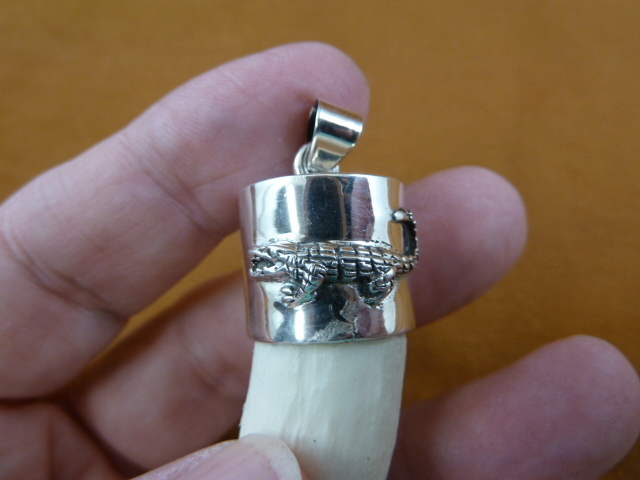 Teeth are capped with heavy .925 sterling silver as a pendant with a generous size loop. 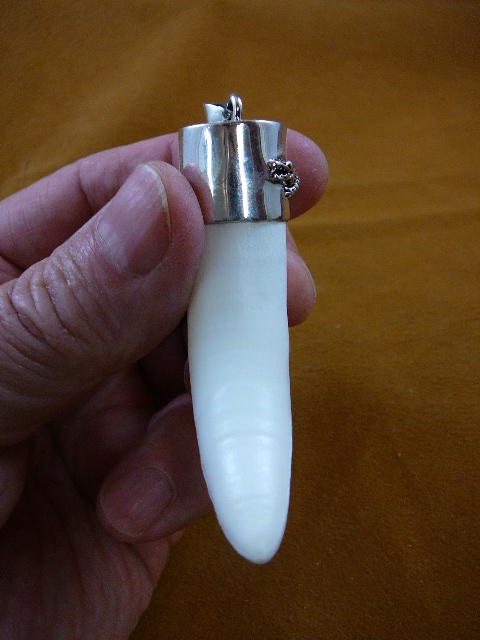 These are genuine, natural alligator teeth. 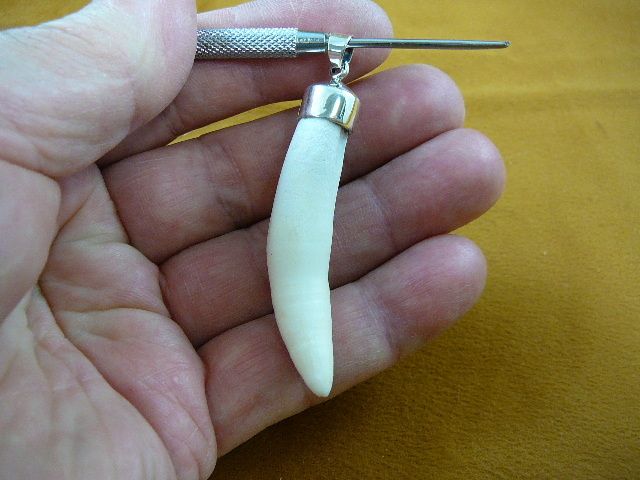 Teeth are measured over the curve from tip of tooth to top of cap. 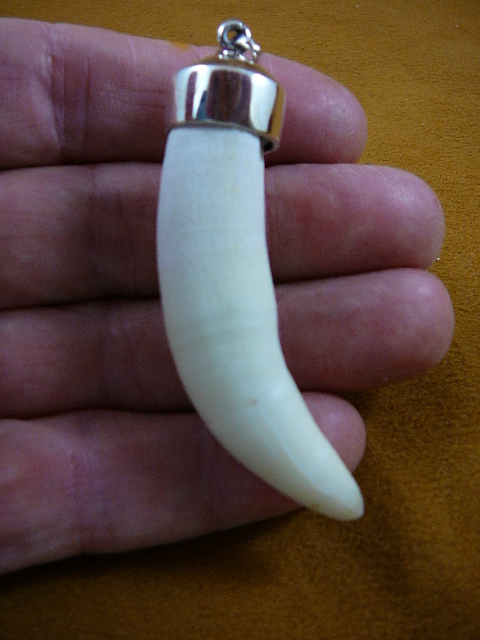 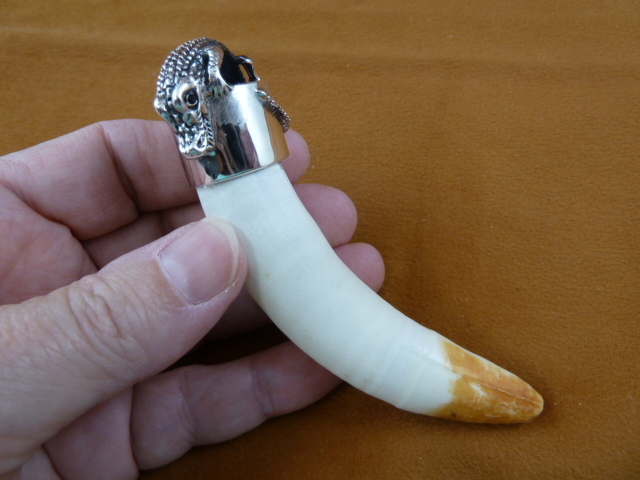 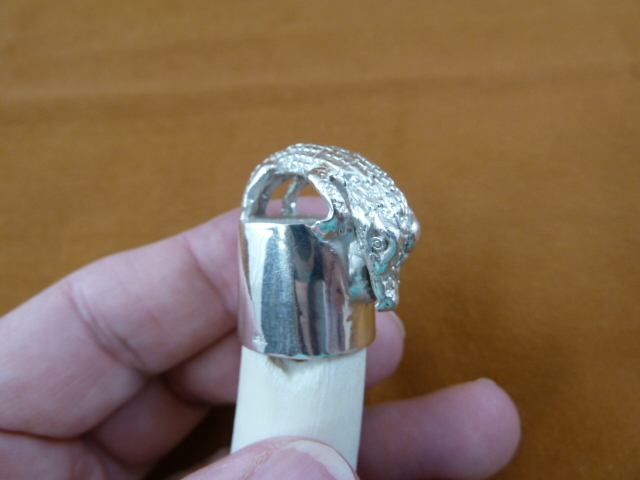 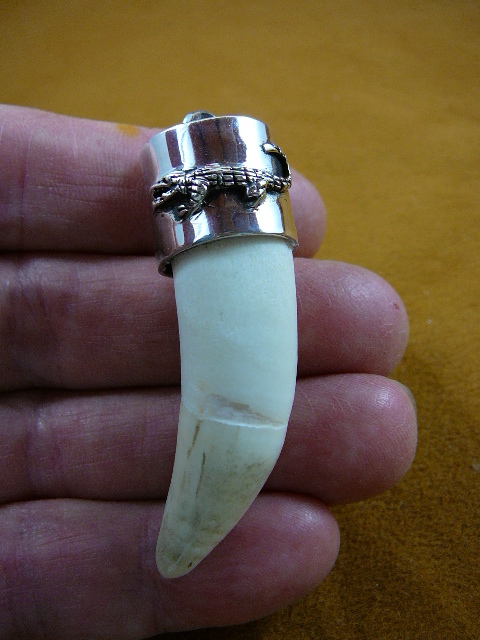 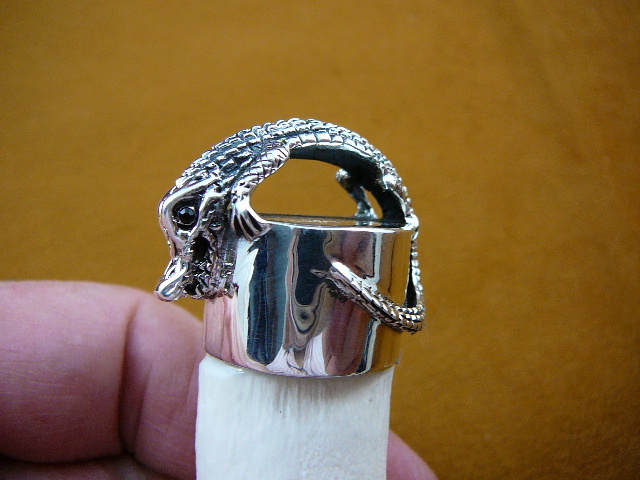 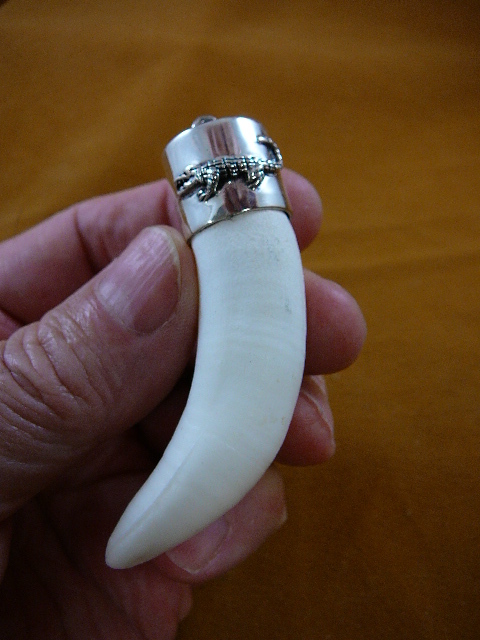 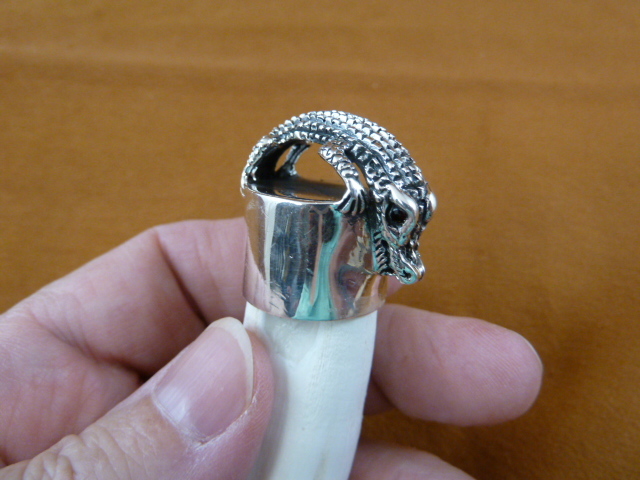 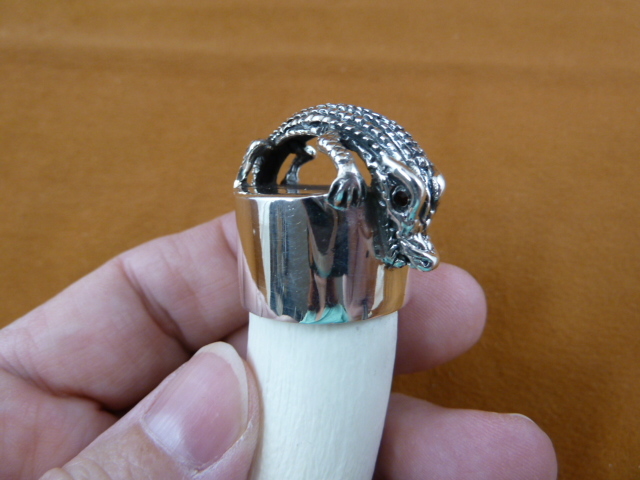 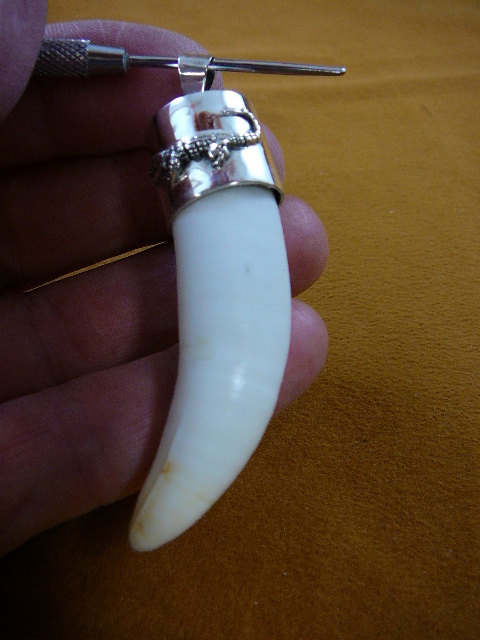 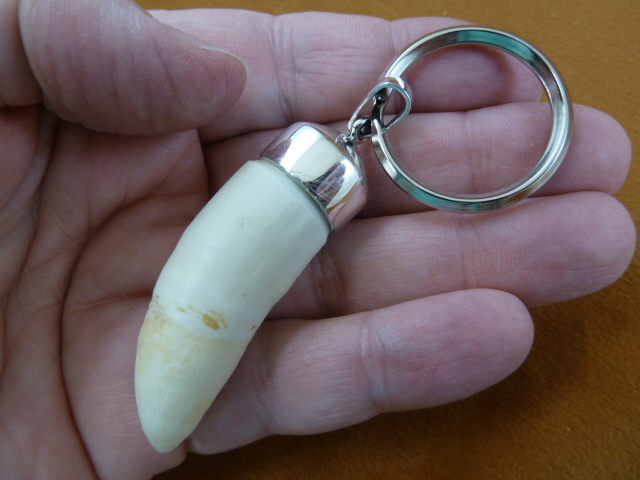 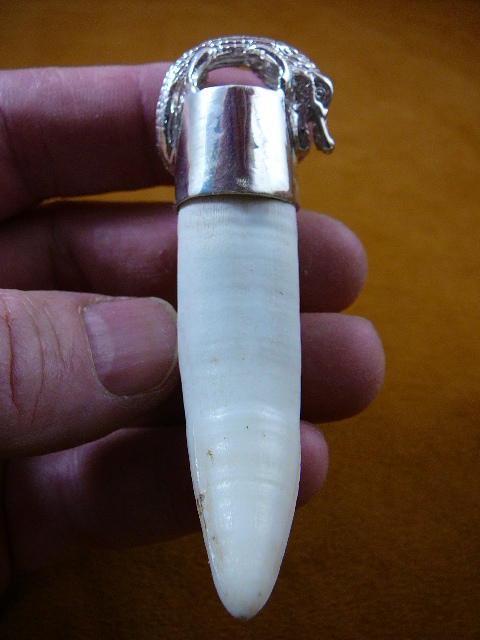 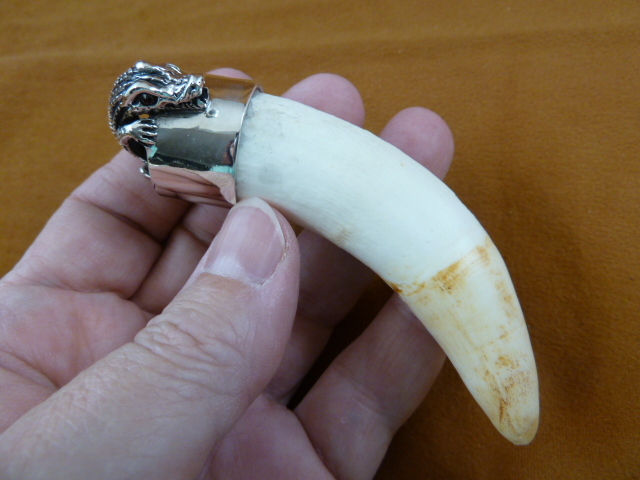 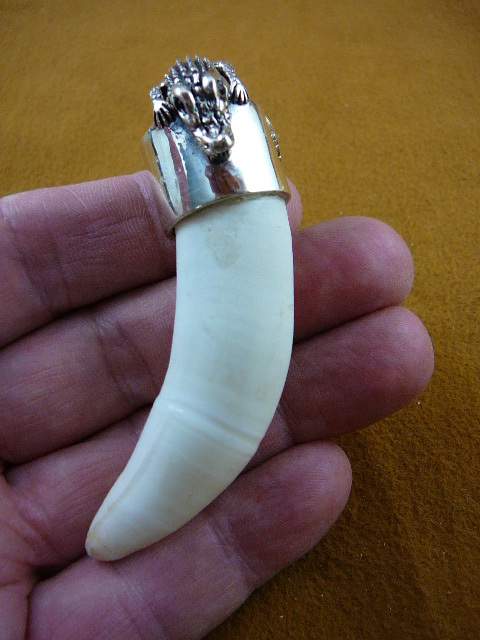 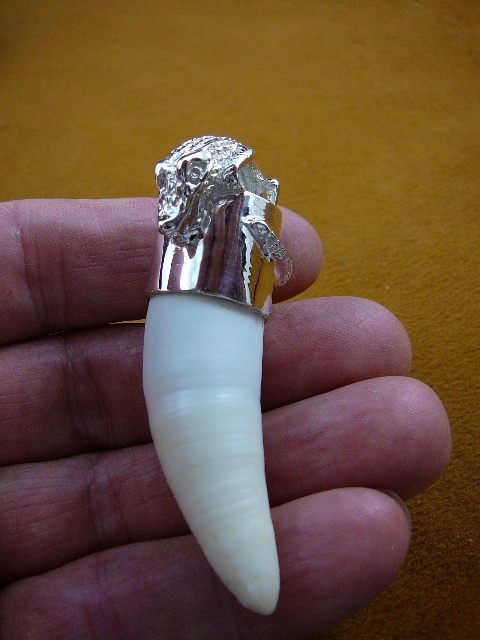 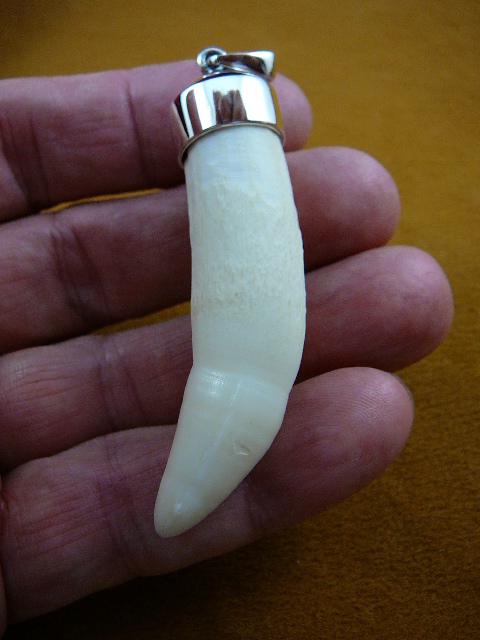 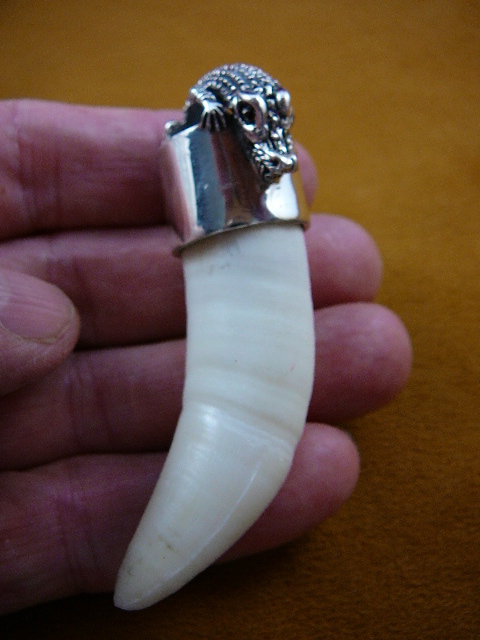 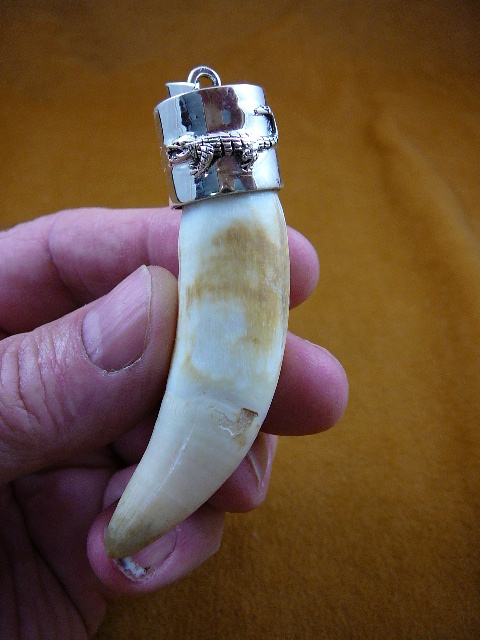 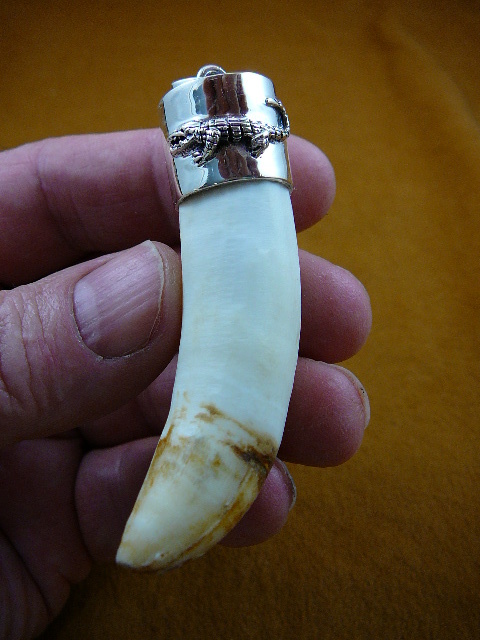 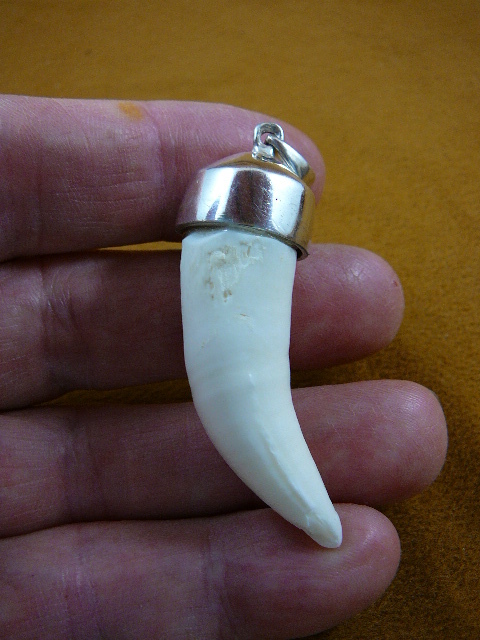 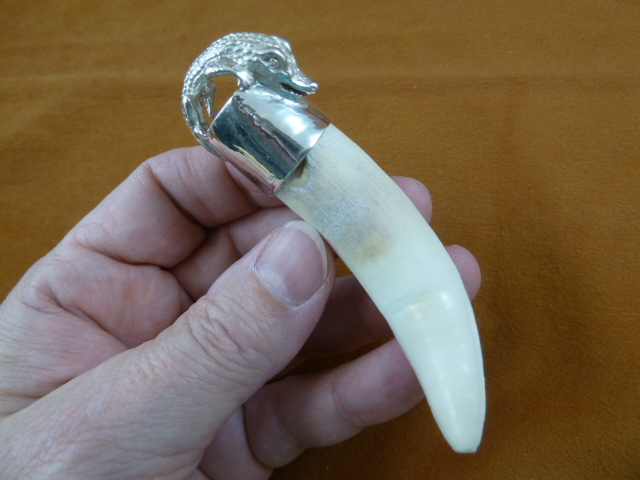 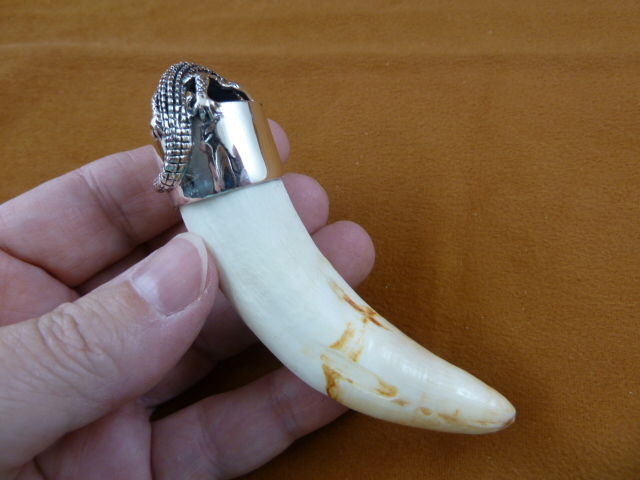 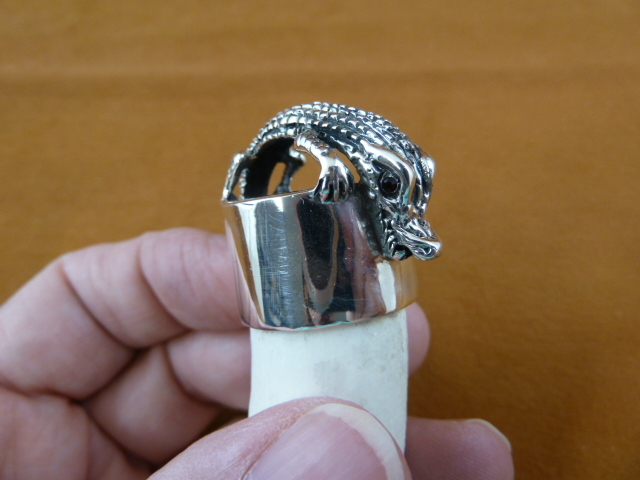 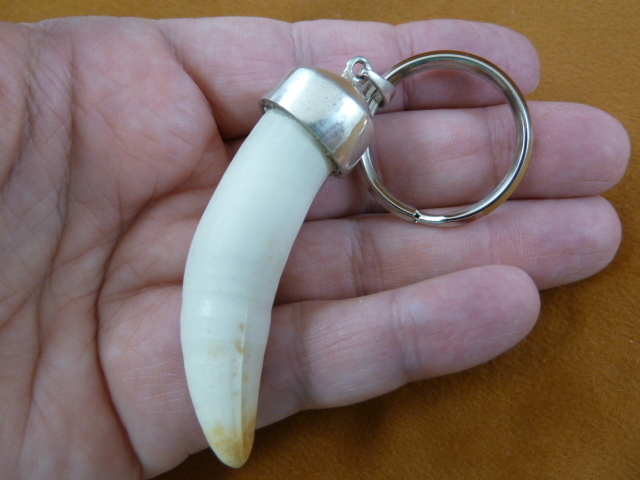 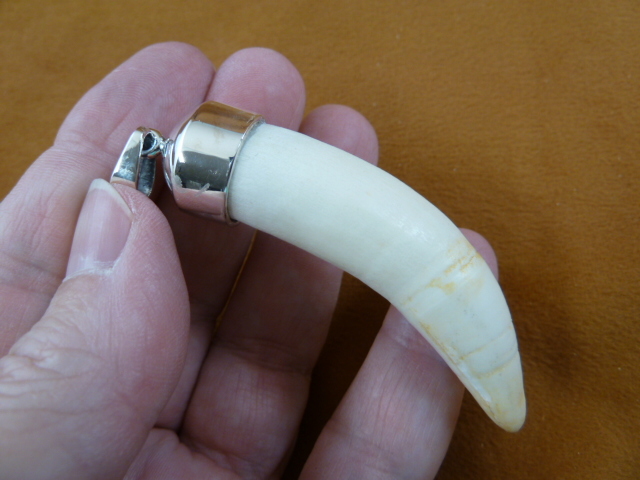 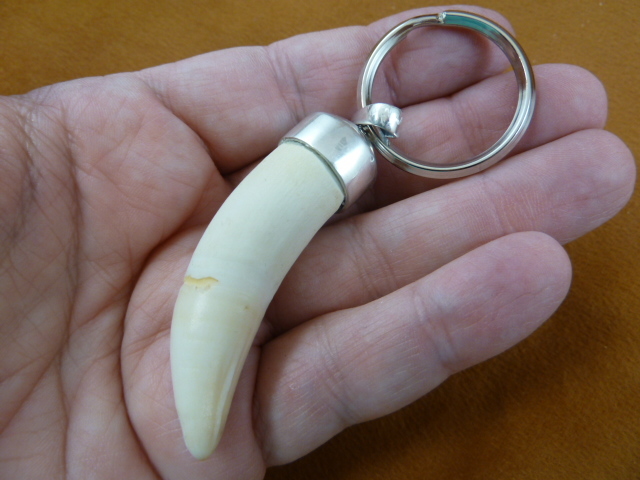 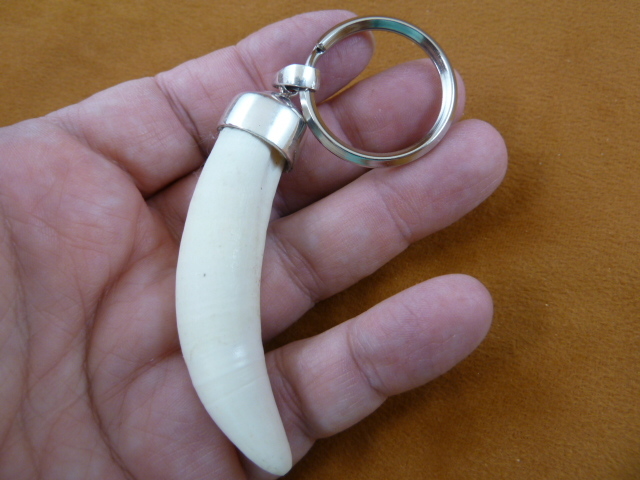 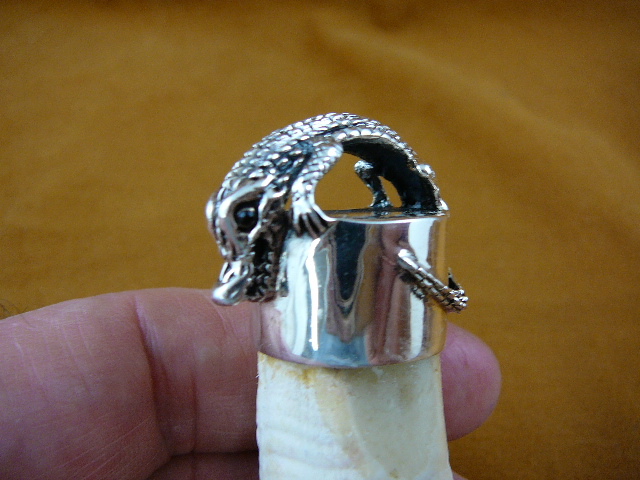 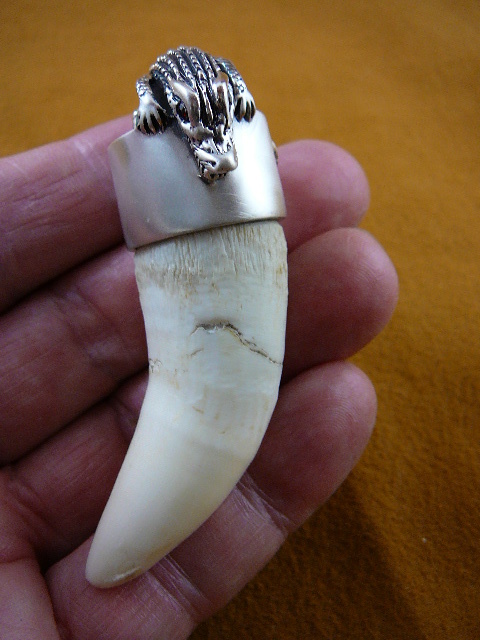 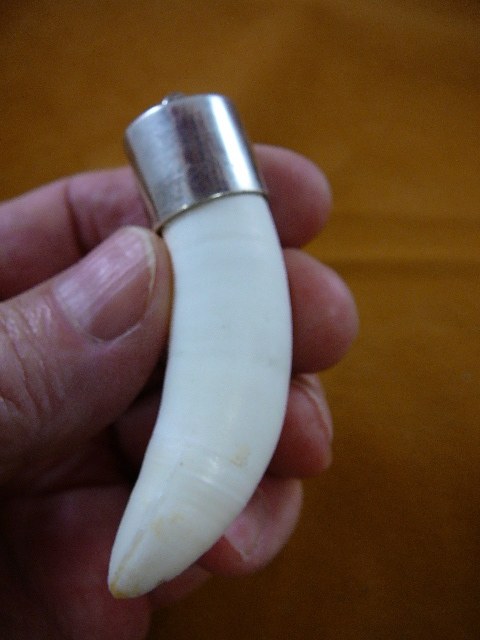 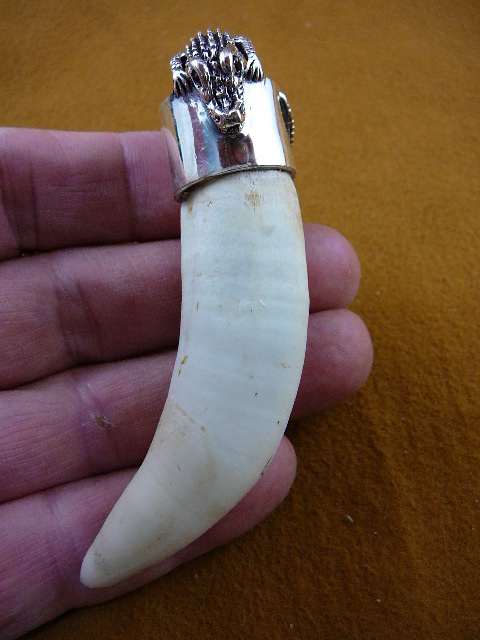 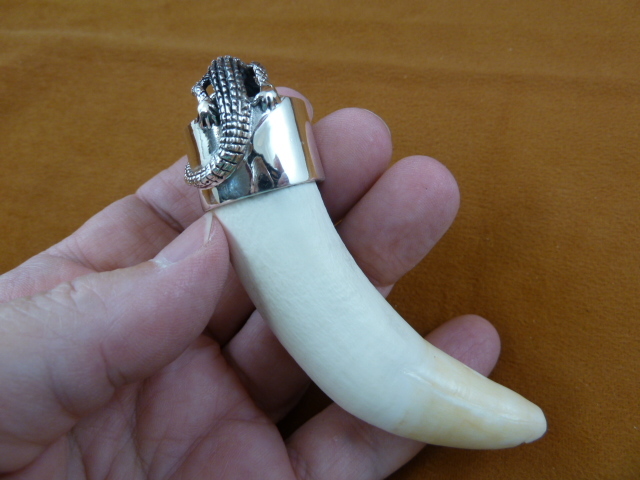 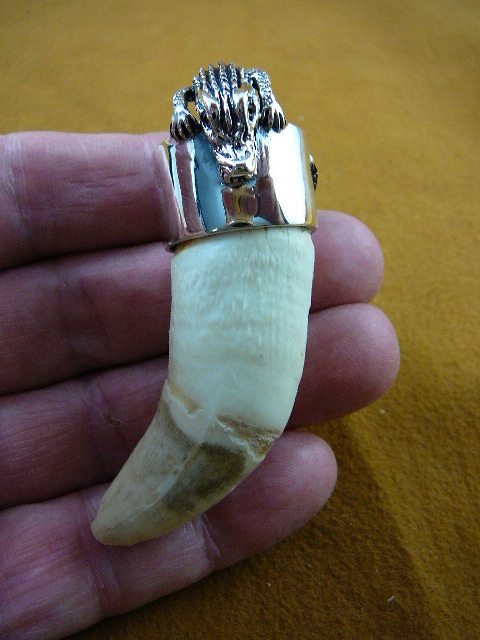 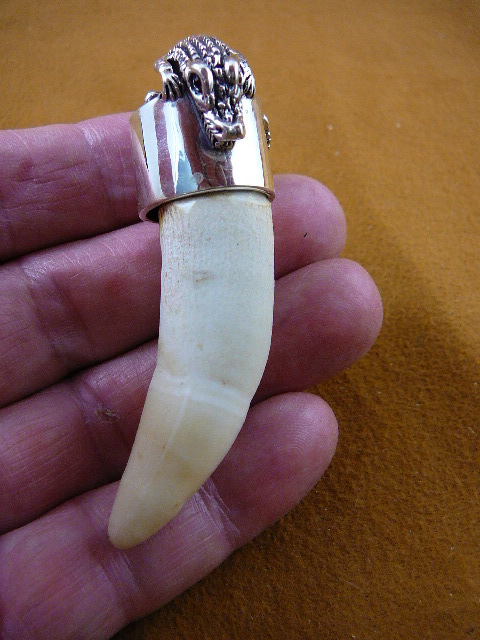 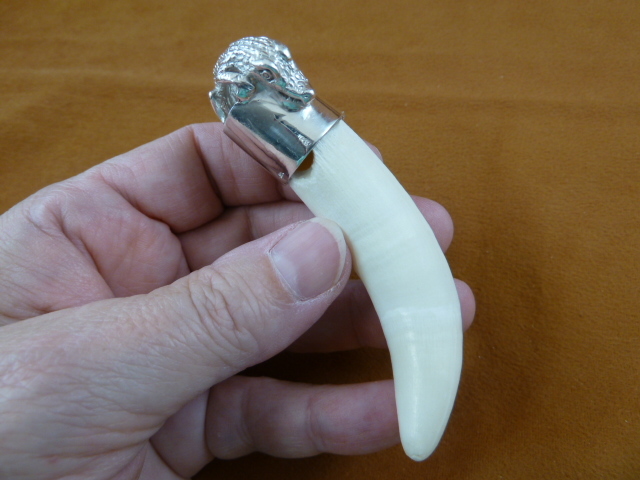 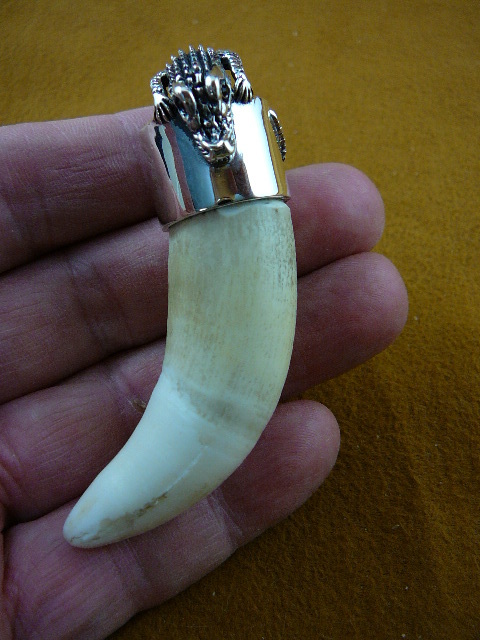 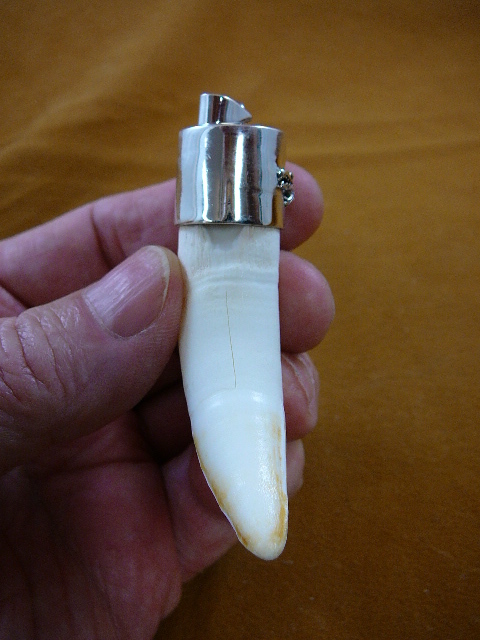 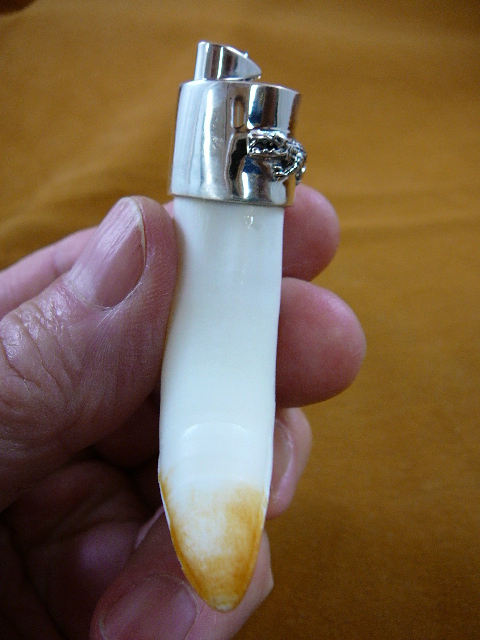 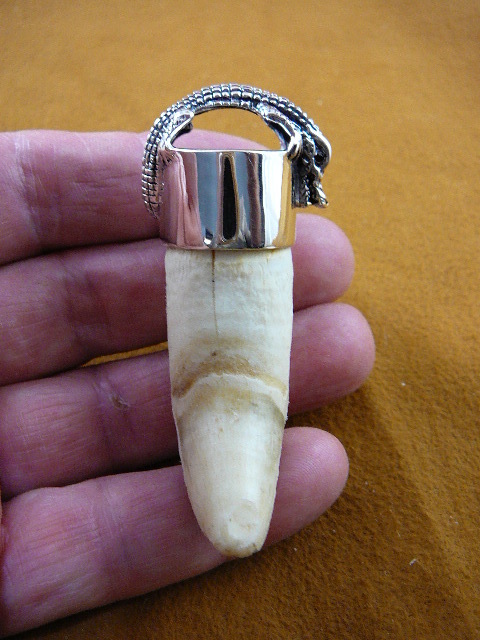 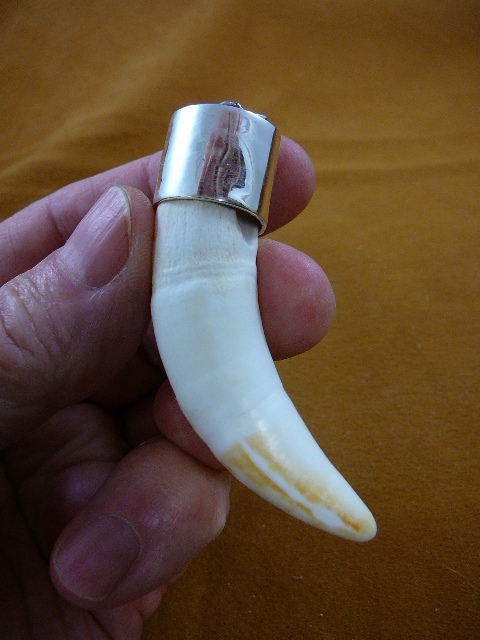 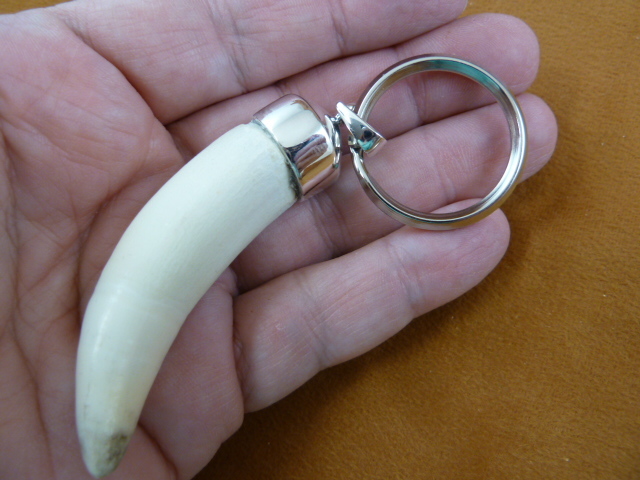 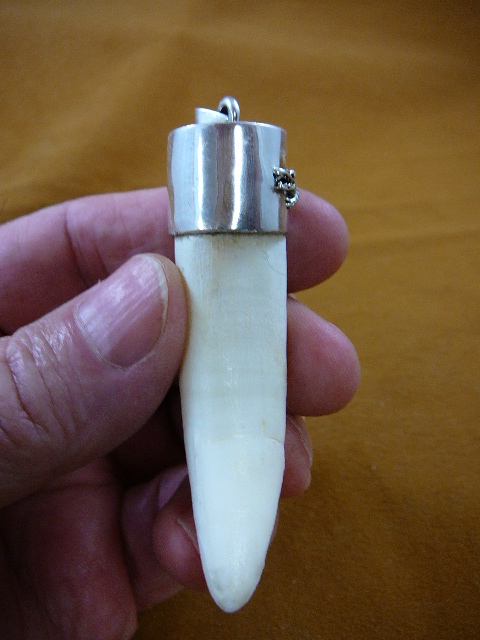 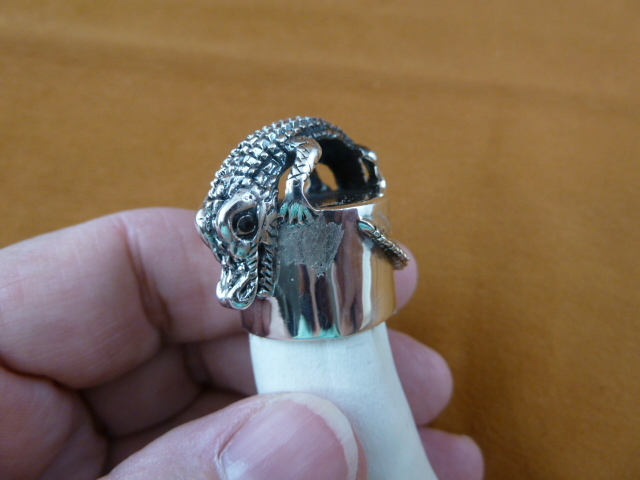 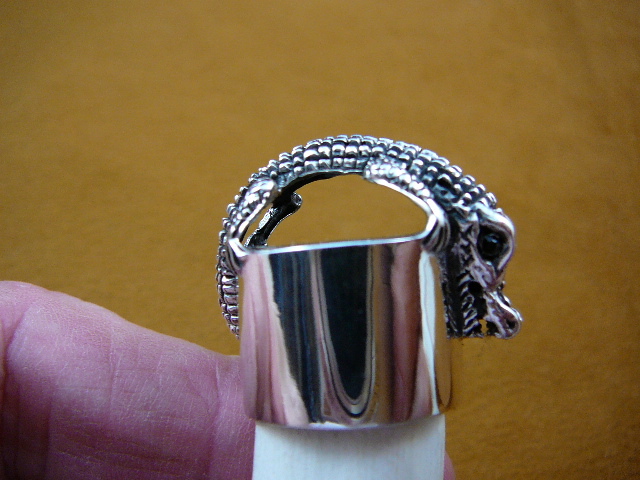 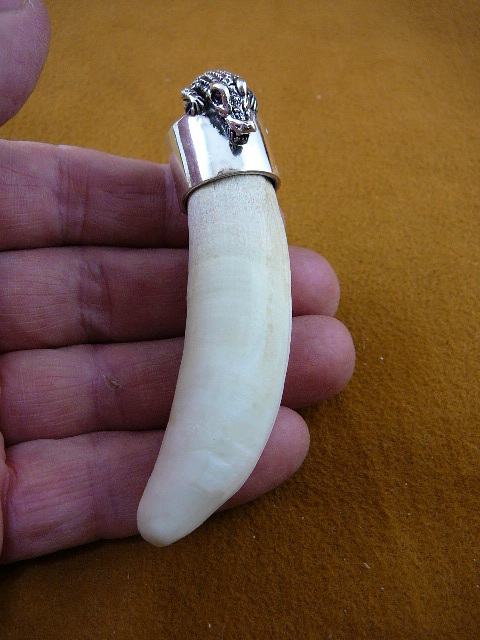 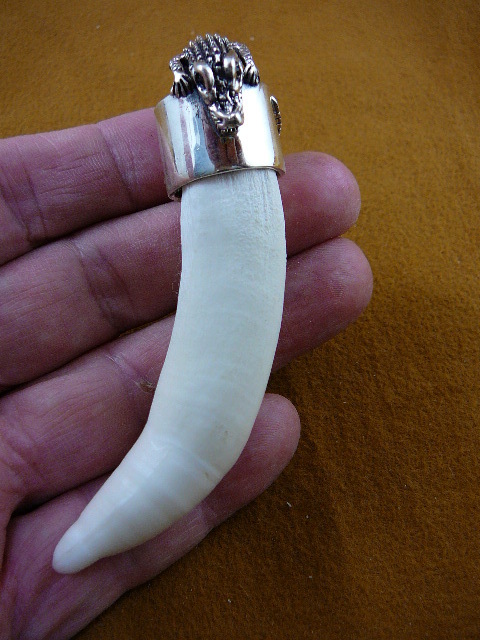 Teeth are capped with heavy .925 sterling silver as a keychain. 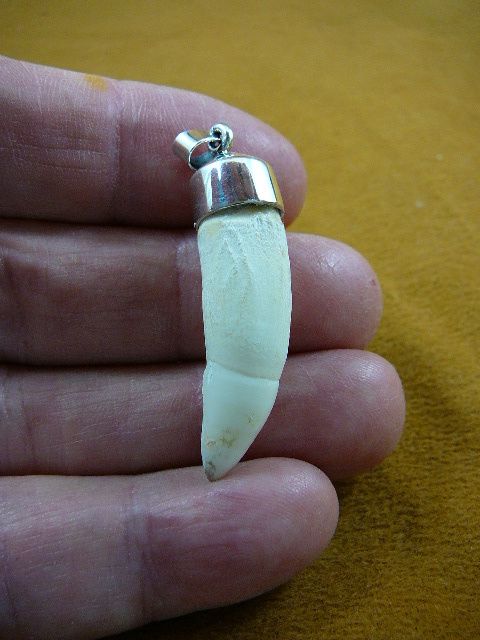 These are genuine, natural alligator teeth. 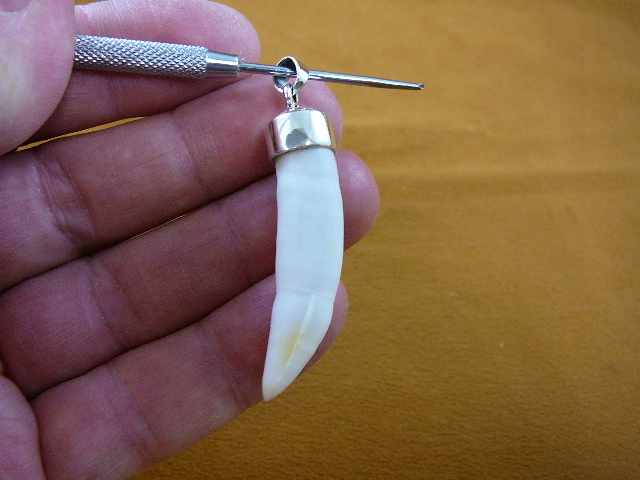 Teeth are measured over the curve from tip of tooth to top of cap.